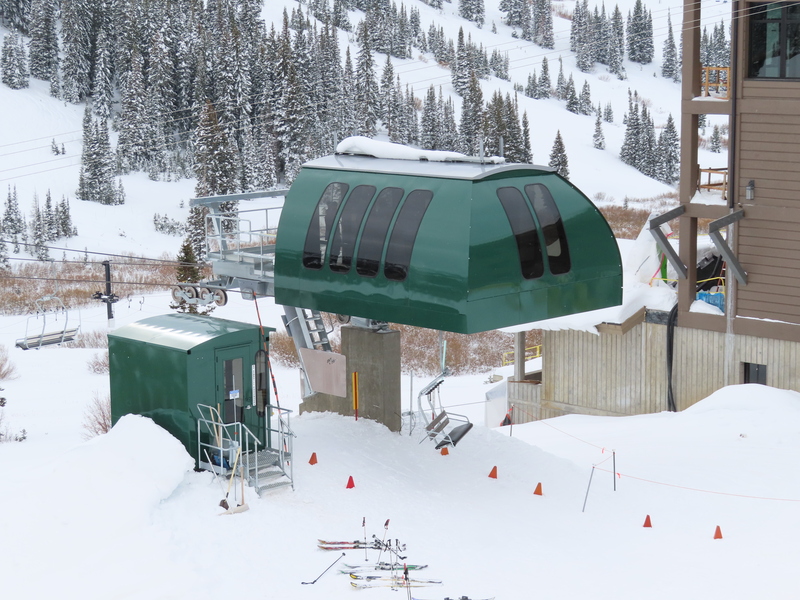 Before building lifts on Eagle Peak, growing Inland Northwest ski area Lookout Pass will replace core out-of-base Chair 1 with a Skytrac quad, its first brand new lift in 37 years. 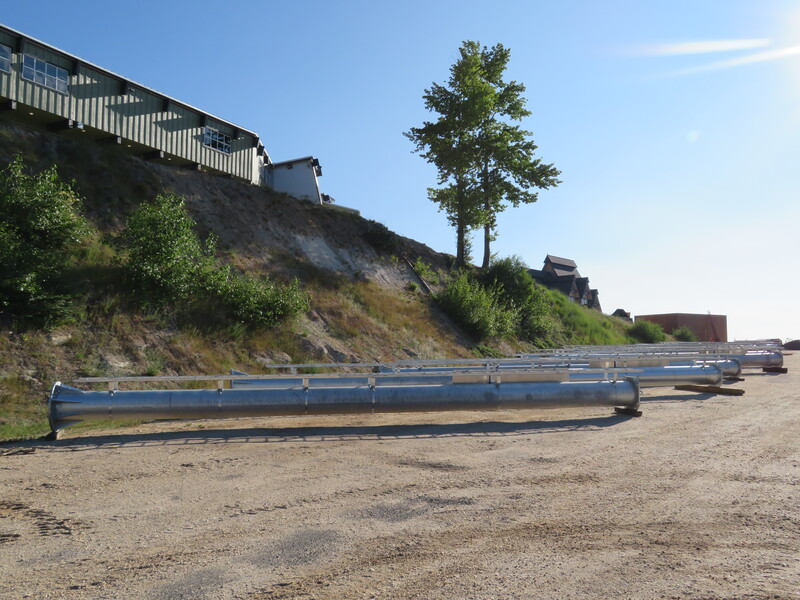 The fixed-grip quad will double uphill capacity on the Interstate 90 side of the mountain and better position Lookout for planned future expansion. 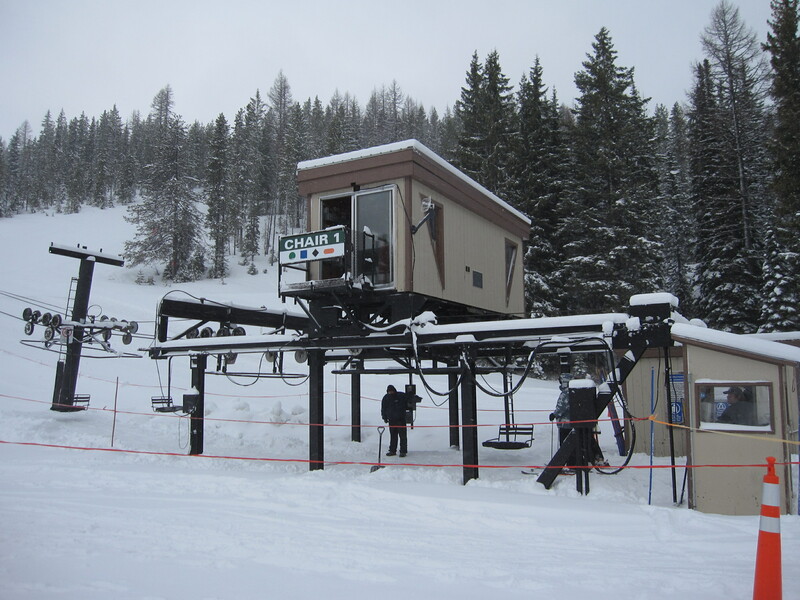 The ski area, which sits at 5,600 feet along the Idaho-Montana border, added three Riblet chairlifts in the early 2000s but all came used via other mountains. 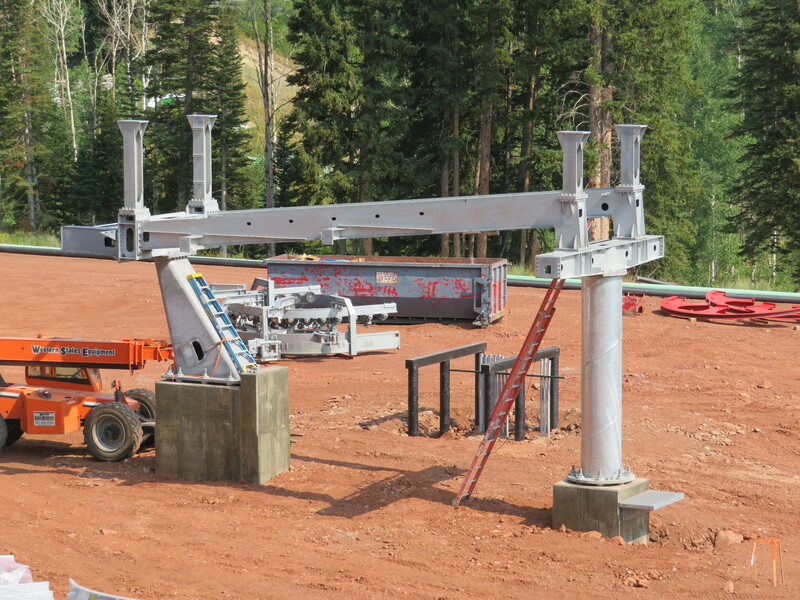 The new Chair 1 will follow the existing alignment and utilize some of the current Riblet towers with a slope length of approximately 2,900 feet and vertical rise surpassing 800 feet. 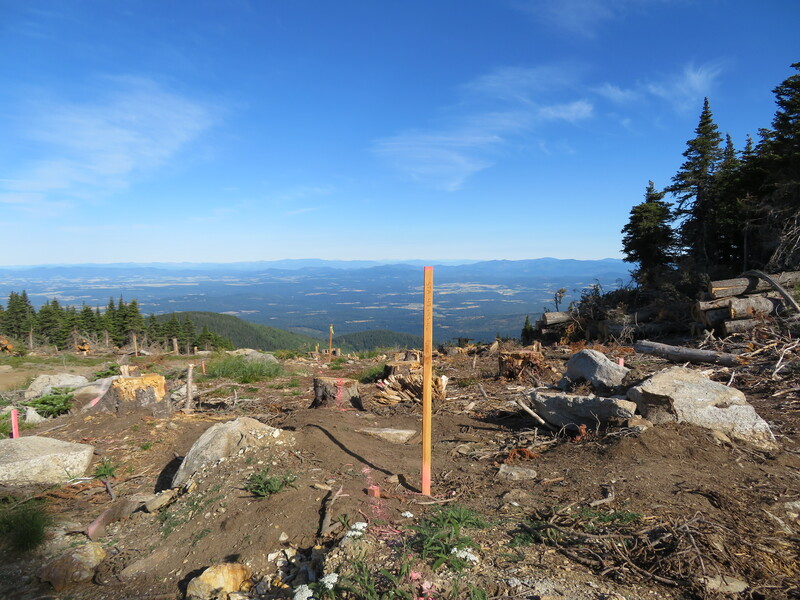 Lookout’s project is the fourth announced new lift for the State of Idaho in 2019 following commitments by Tamarack Resort and Schweitzer. 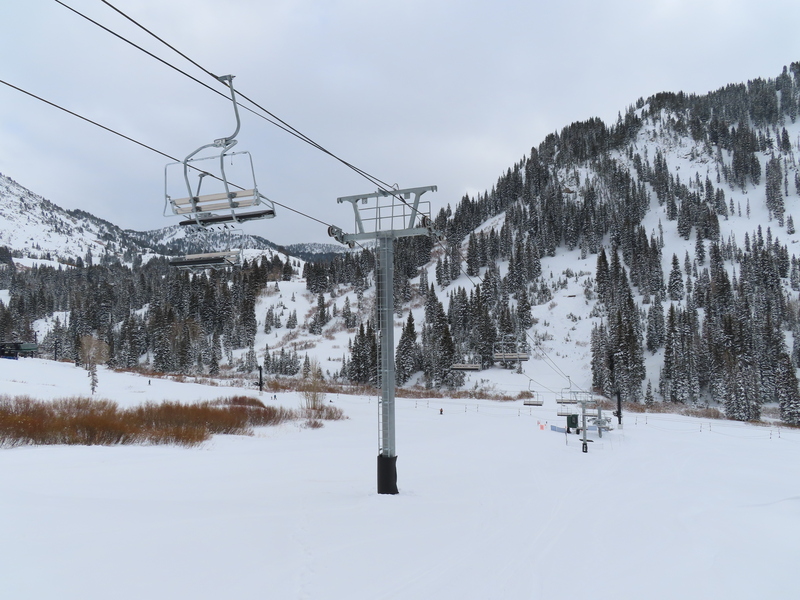 Sun Valley recently pushed back its Cold Springs quad project to 2020. 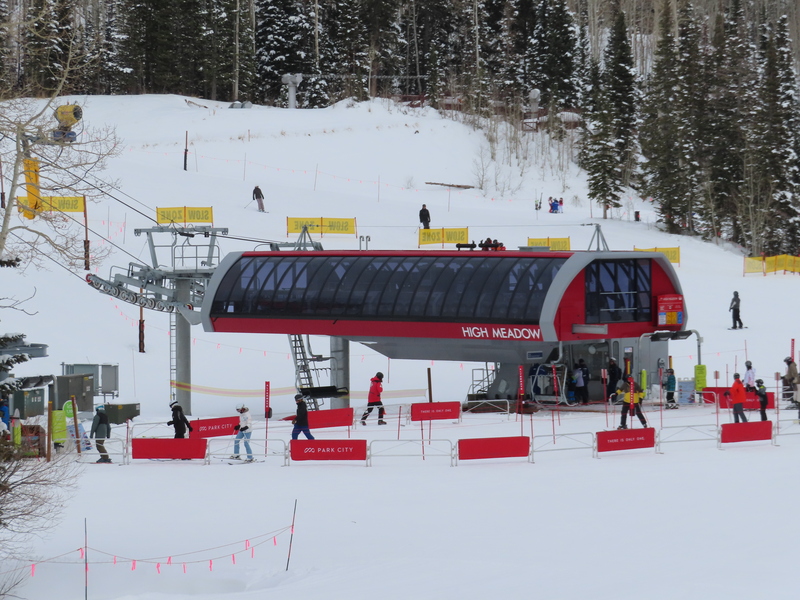 This 1982 workhorse will be retired at the end of this season and replaced with a Skytrac quad chair. 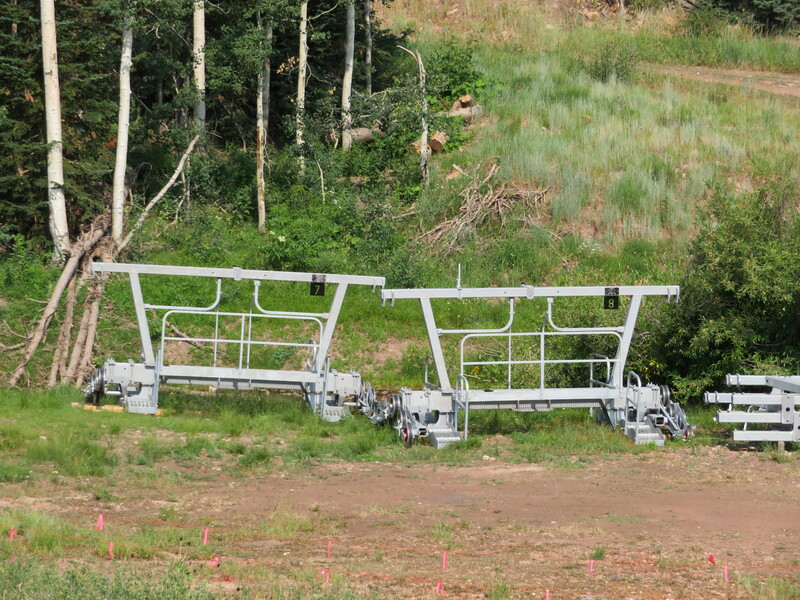 The Forest Service tentatively approves two new chairlifts as part of the Atoma expansion at Mt. Rose. There are gondolas flying above Walt Disney World as of late. 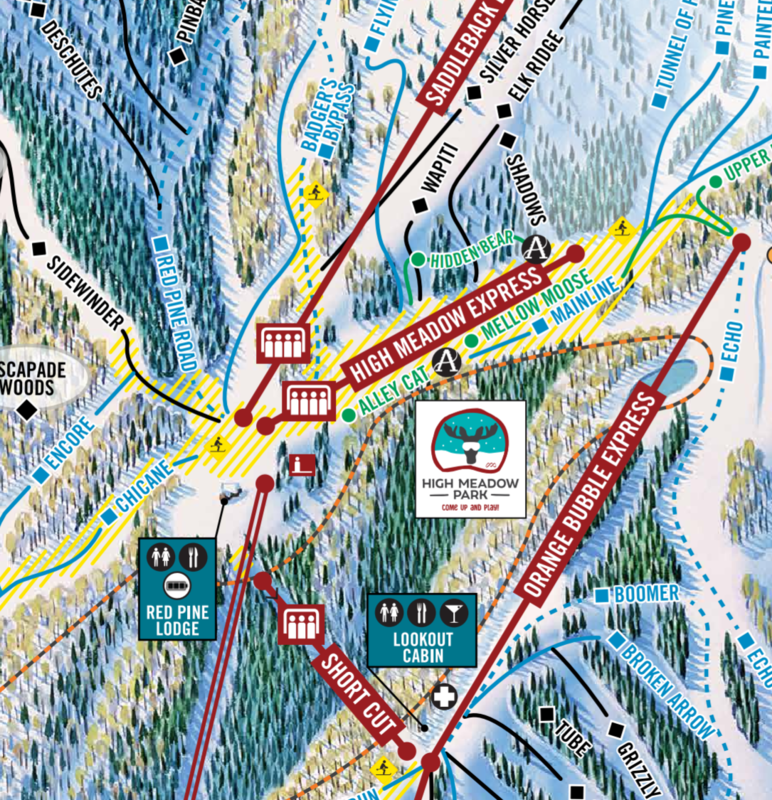 The Garibaldi at Squamish resort proposal is still alive in BC. 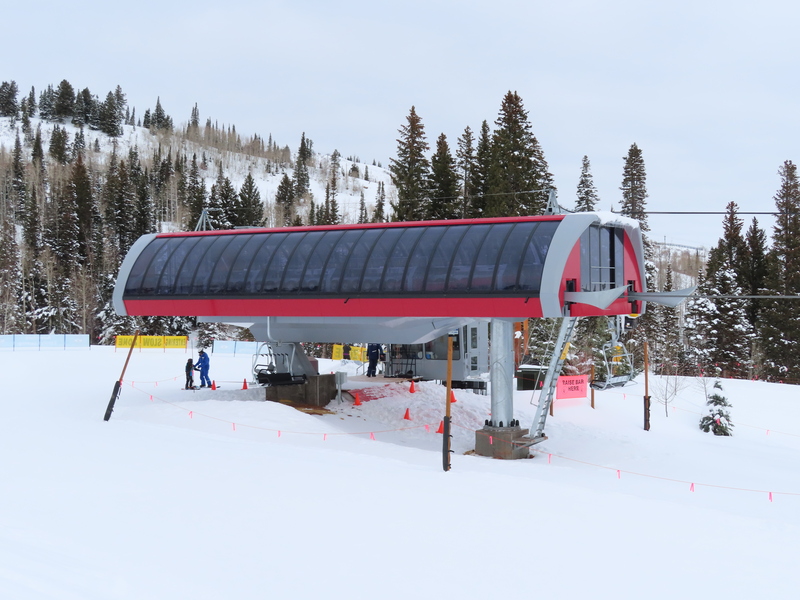 Sitzmark, Washington and its 1961 Riblet double won’t open this season. 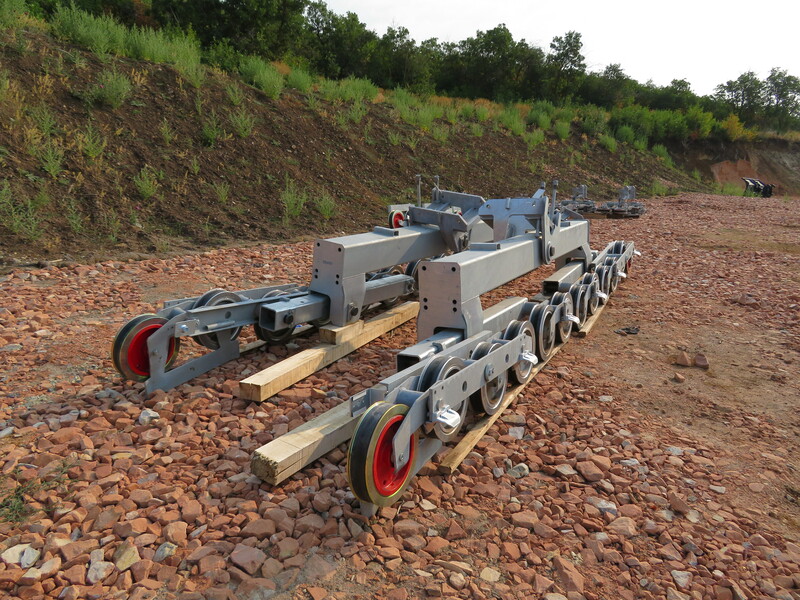 Tamarack’s new Wildwood Express will likely reuse foundations from the repossessed UNI-GS version. Medellín inaugurates its fifth urban gondola by Poma, Line M.
A nine year old boy is okay after falling 31 feet from the Thunderbowl lift at Aspen Highlands. 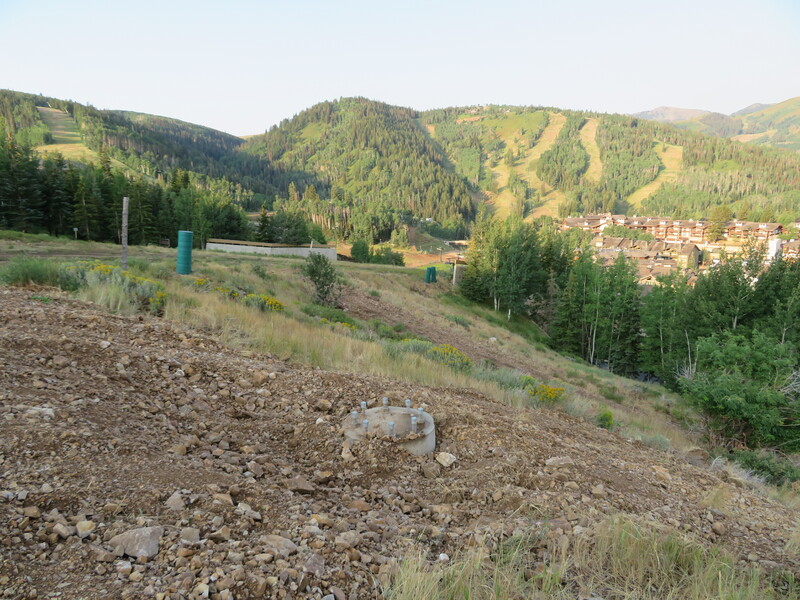 Sun Valley postpones the Cold Springs Express project to 2020. 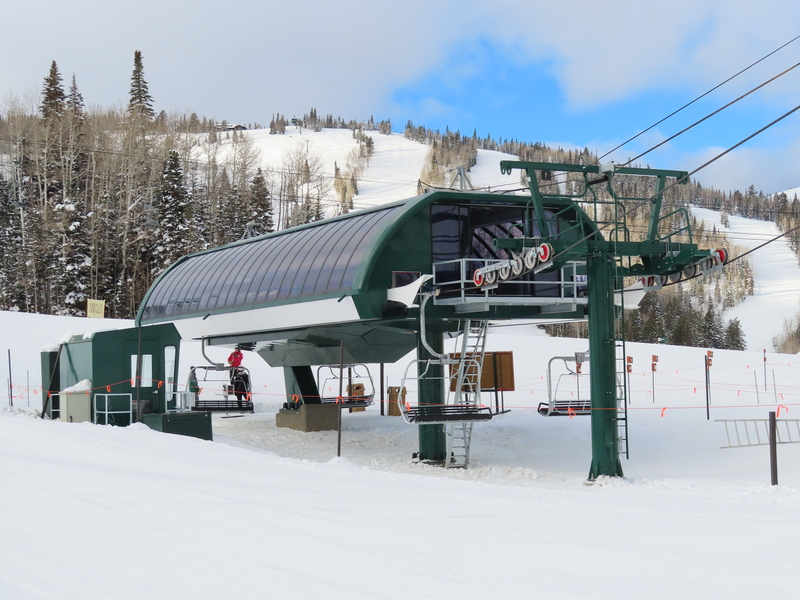 Sunshine Polishing has a bunch of vintage gondola cabins for sale including many from Killington’s K-1 Express. Skytrac marks ten years in business with 37 complete lifts, eight new terminals and five relocations to date with more to come! 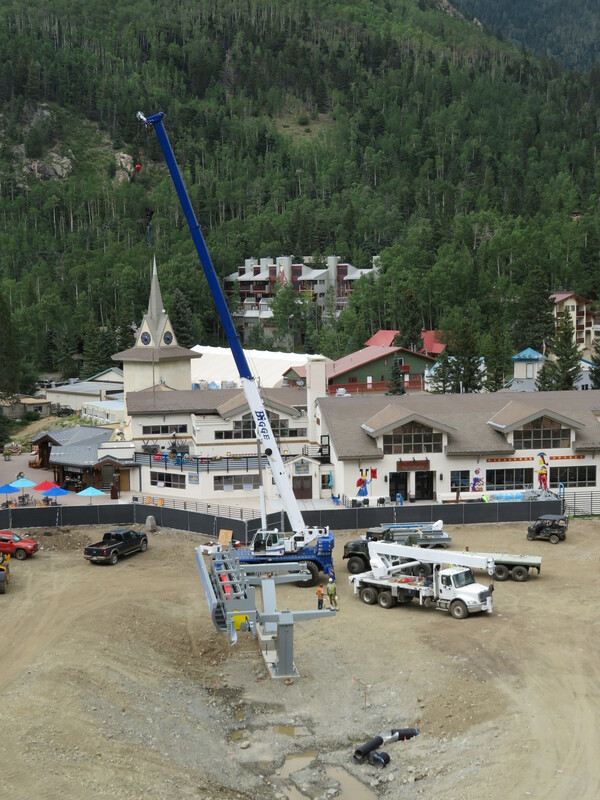 Waterville Valley and LST Ropeways are trying to open the new High Country lift this week. A Hermitage reopening this winter is unlikely but the lifts are being taken care of by a skeleton crew of employees. The popular Portland Aerial Tram opens up a logo shop. 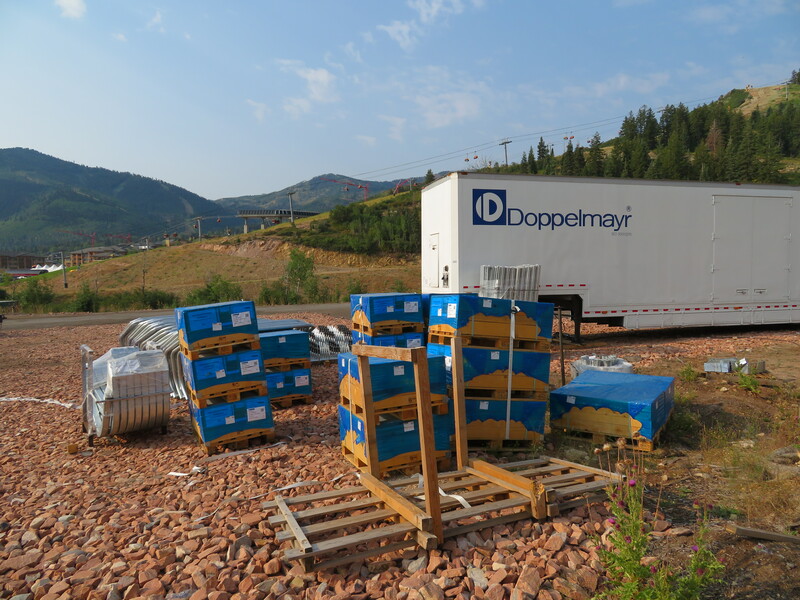 Another Skyliner job is posted: Technical Manager. 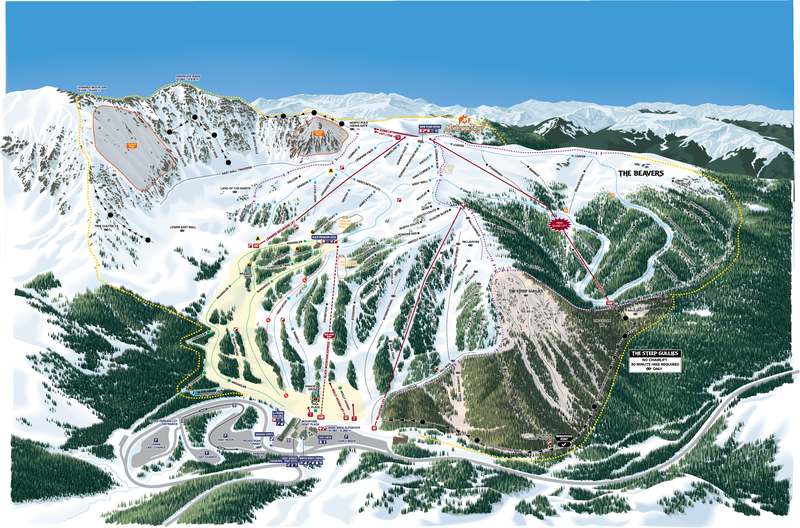 The Forest Service plans to green light Cooper’s Way Back expansion and construction of a 2,450′ surface lift. 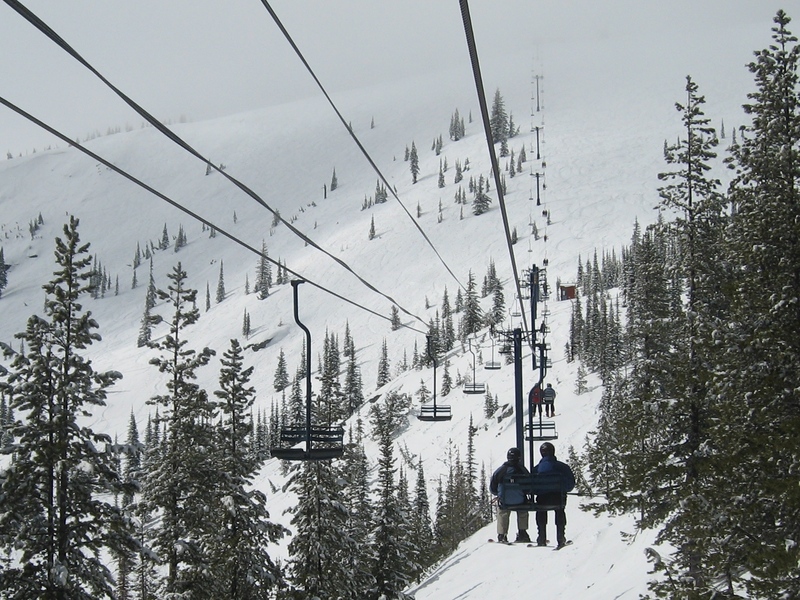 Ditto for Crested Butte’s two chairlift Teocalli II expansion and realignment of North Face. Mexico City announces its first Cablebús line will be the longest urban gondola in the world at nearly 31,000 feet. A full ride would take 46 minutes with 374 ten passenger cabins transporting up to 4,000 passengers per hour each way. 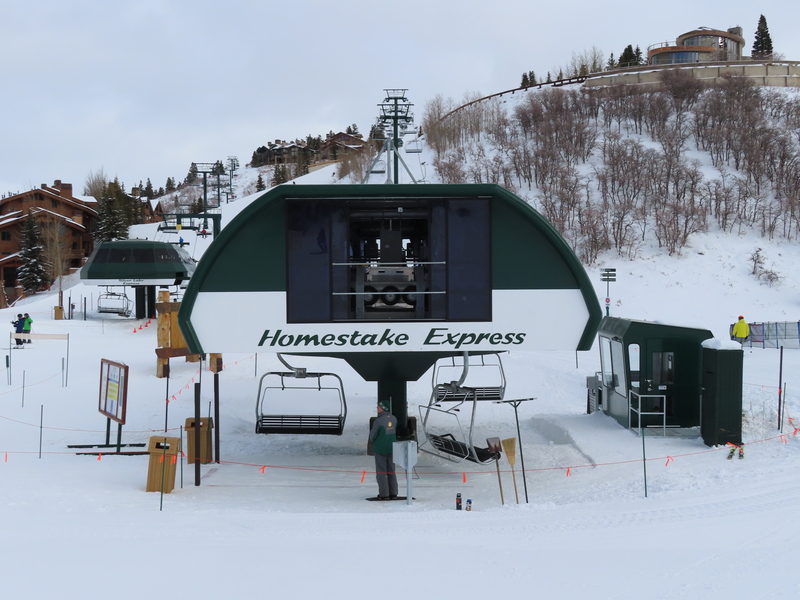 The brand new Homestake Express seen on opening day at Deer Valley. 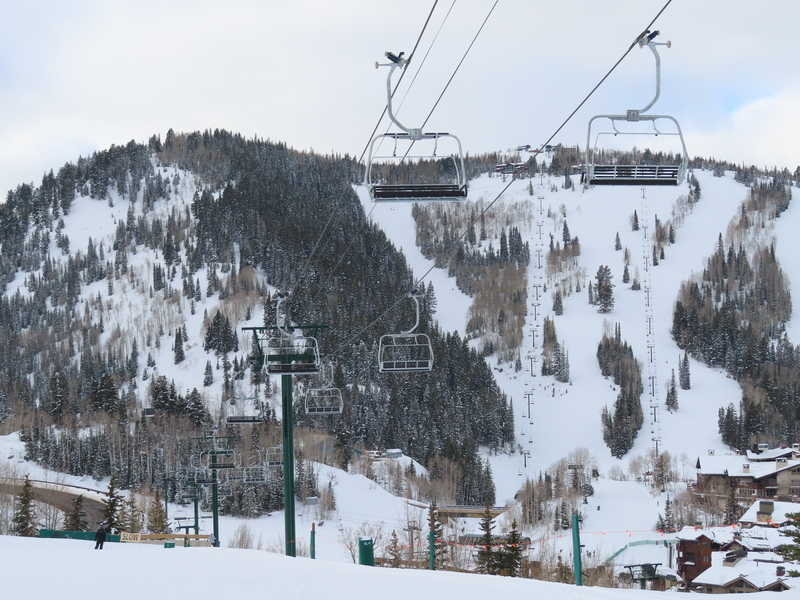 Utah ski resorts are proving this season that lifts need not be giant to positively impact guest experiences. 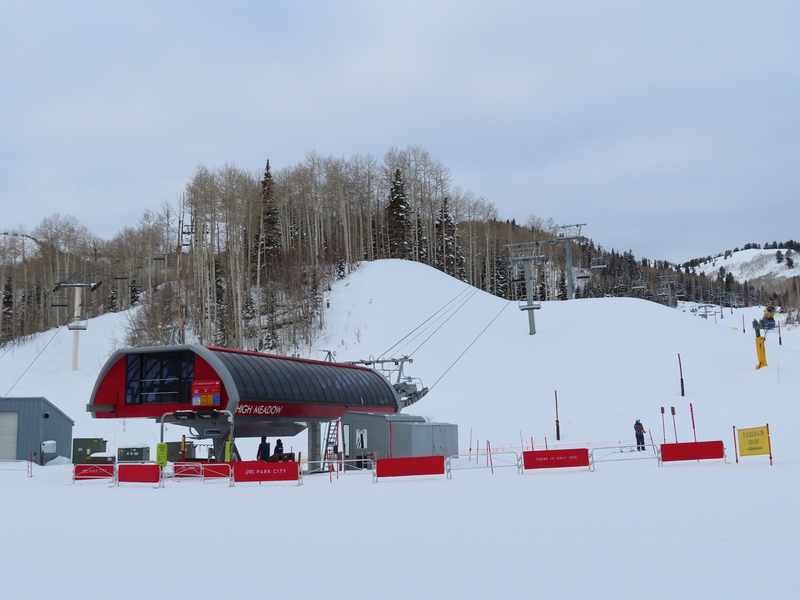 I got to visit the state’s three newest chairlifts this week, which are all short but sweet with beginner skiers in mind. 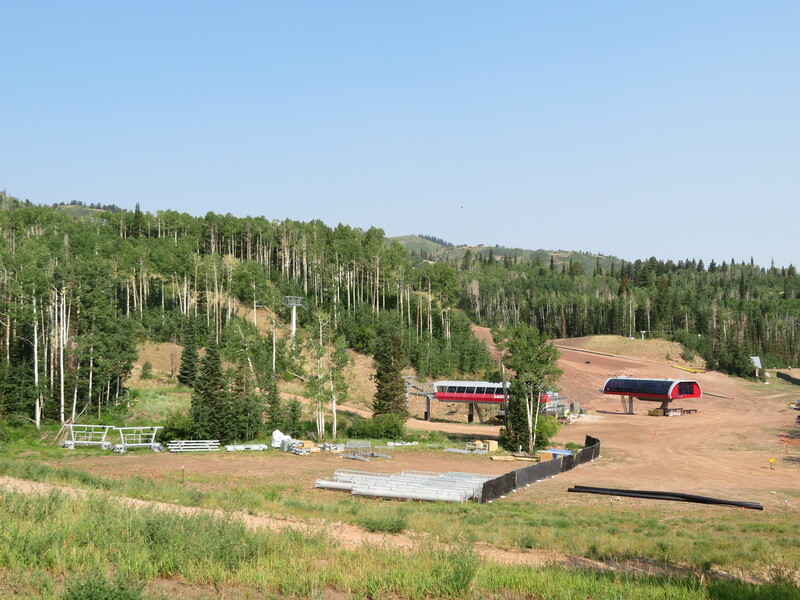 The High Meadow Express is the centerpiece of re-imagined teaching terrain above Park City’s Canyons Village. With mellow loading and unloading speeds, a quick ride time and an improved alignment, the high speed quad marks a significant step up from the fixed quad it replaces. High Meadow Park is now wide open with perfectly pitched beginner trails. 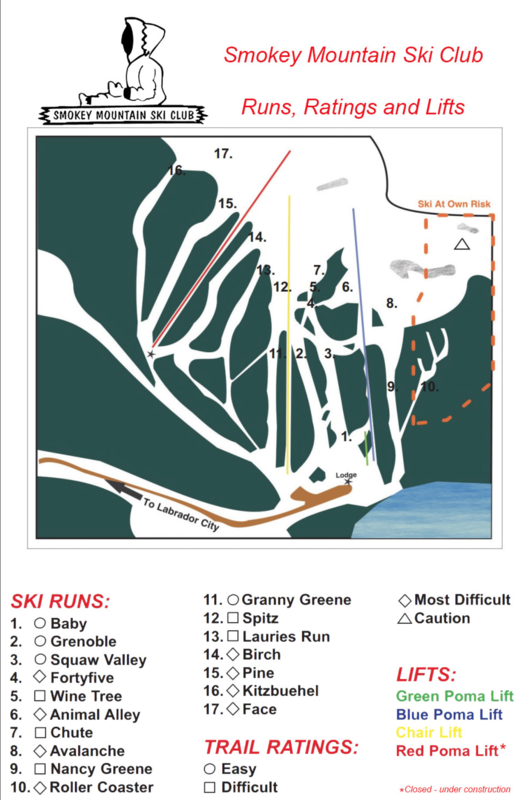 Expanded snowmaking rounds out the freshened up beginner zone. 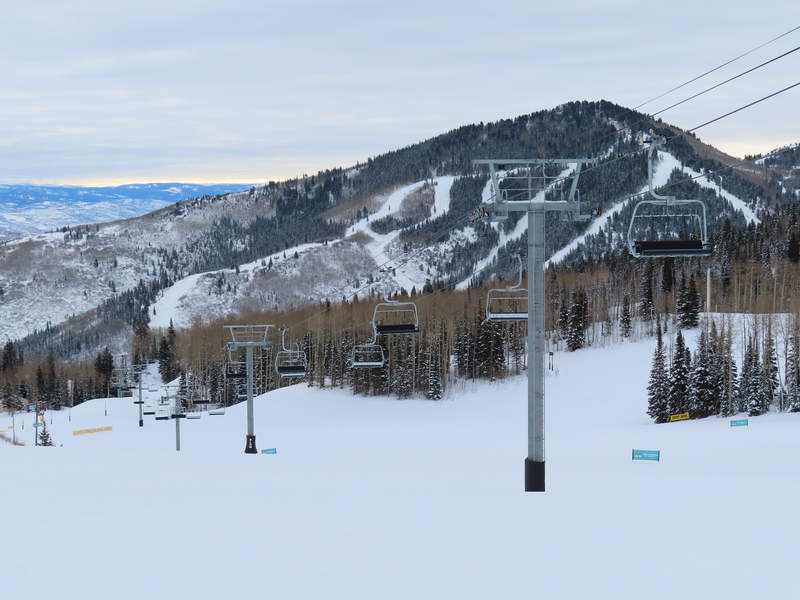 Homestake Express launched this morning at Alterra-owned Deer Valley, becoming the resort’s 13th detachable quad. 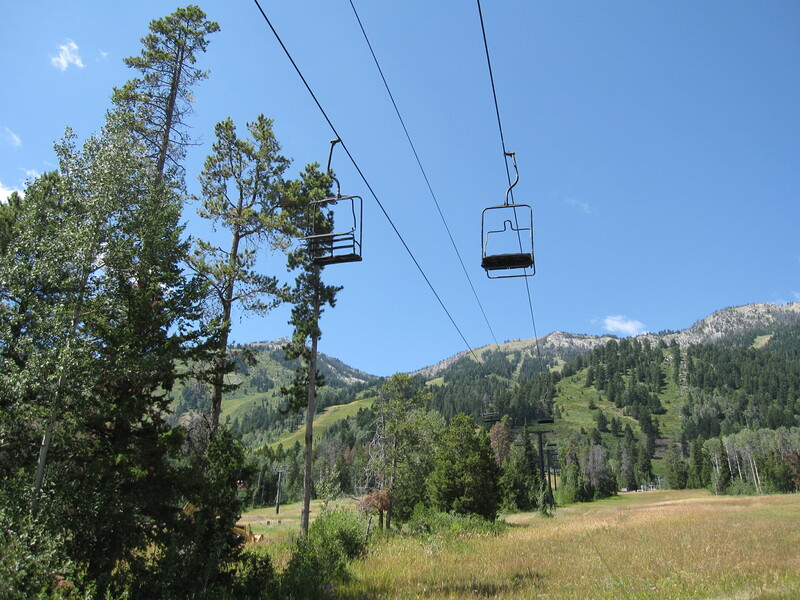 Ride time is now under two minutes between Silver Lake Lodge and Bald Eagle Mountain. 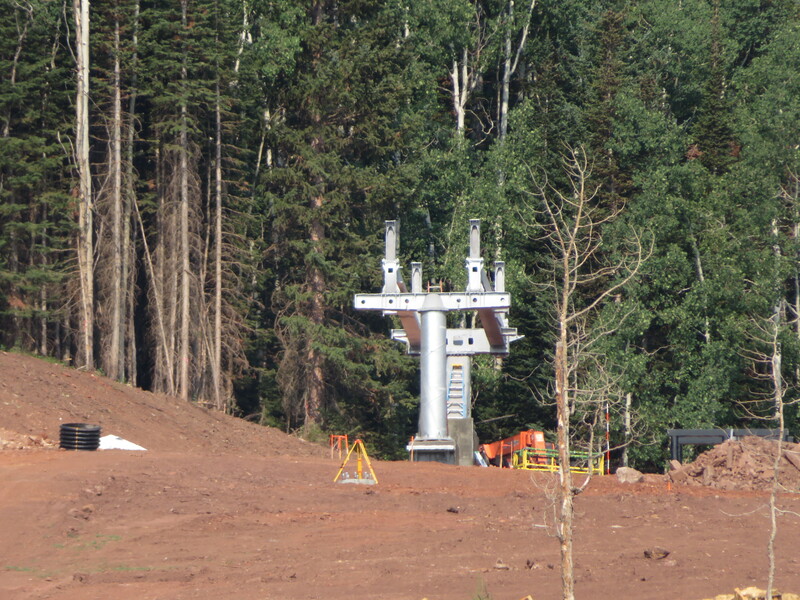 There are only eight towers now, down from 12, freeing up space on the busy Silver Link ski run. 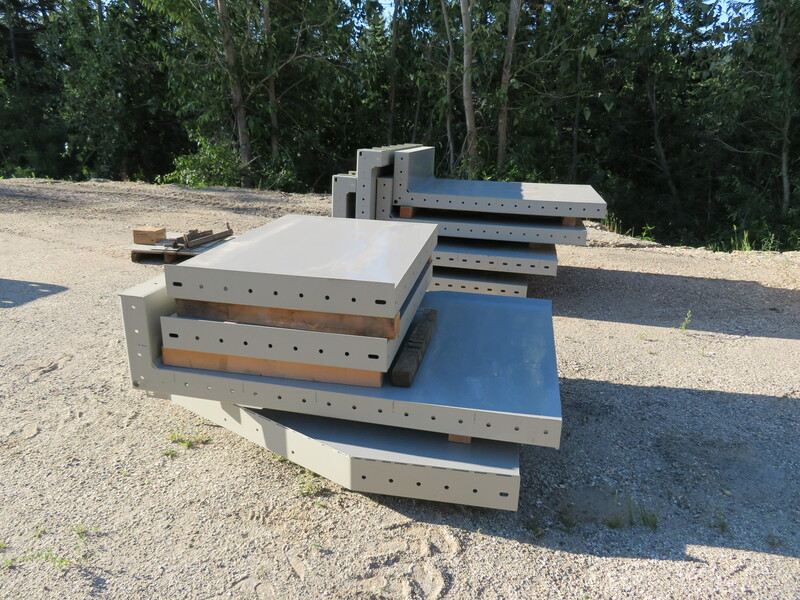 The new Homestake also features slatted backrests for wind resistance. 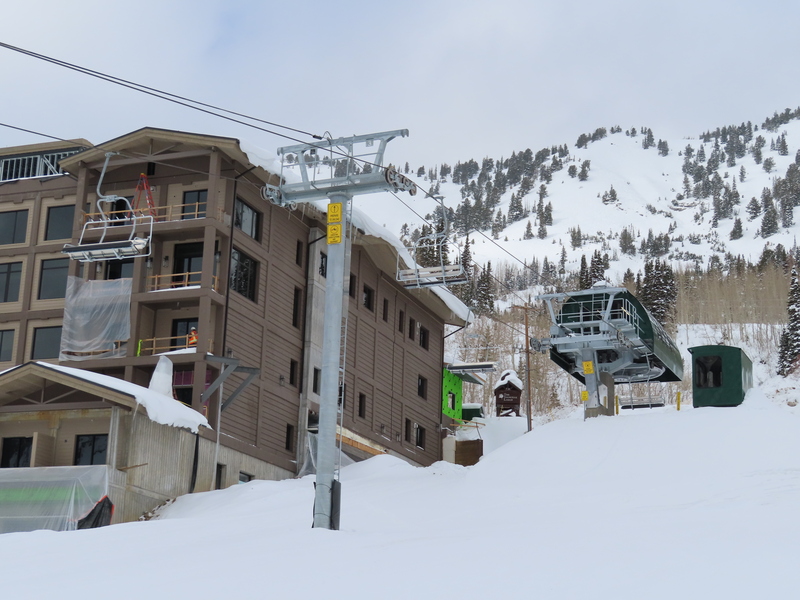 In Little Cottonwood Canyon, the new Snowpine Quad carried its first skiers yesterday. 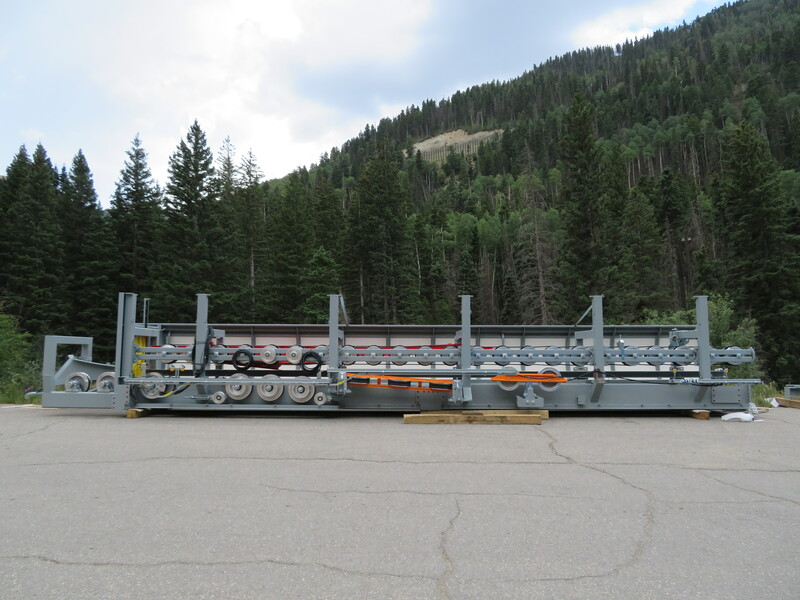 The Skytrac Monarch was manufactured just 30 miles away in Salt Lake. 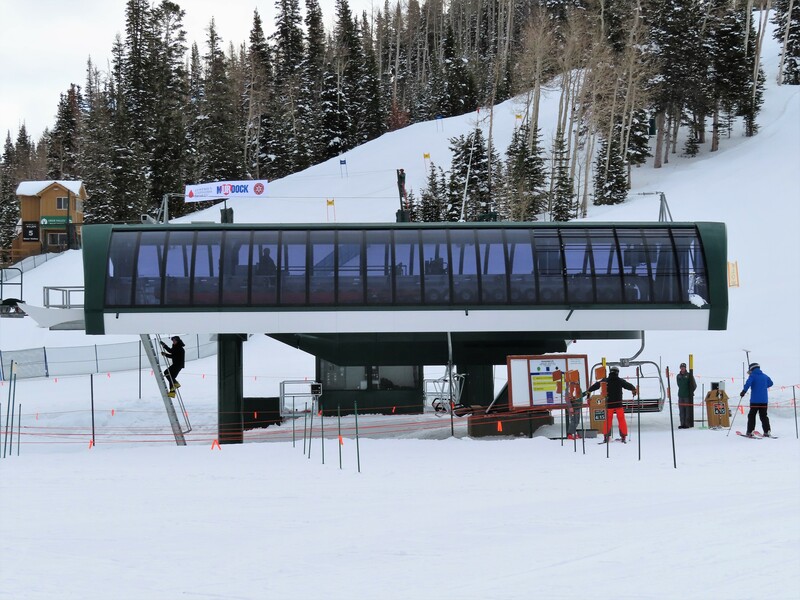 While it only has two towers and a dozen chairs, the new lift serves dual functions. 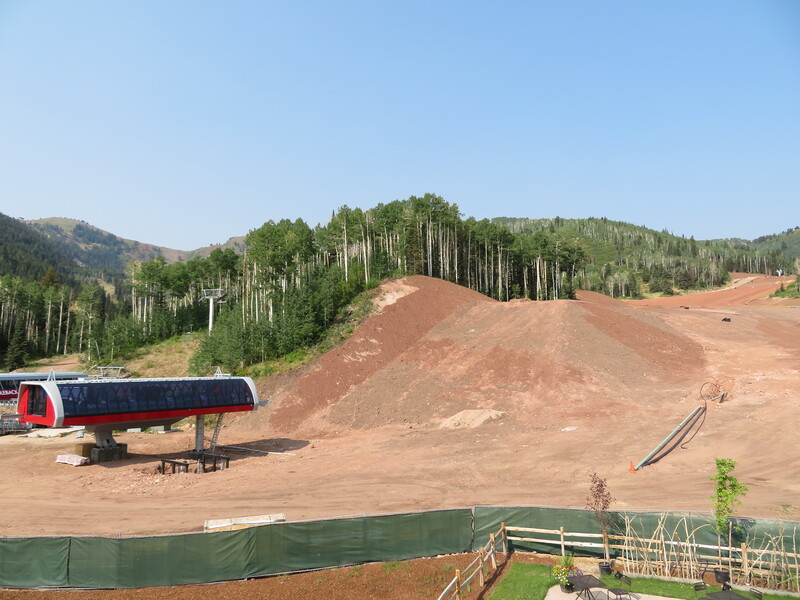 It will provide ski-in, ski-out access to the new Snowpine Lodge, which opens January 30th. Alta’s first fixed grip quad also provides a beginner-friendly alternative to the surface tow it replaces. 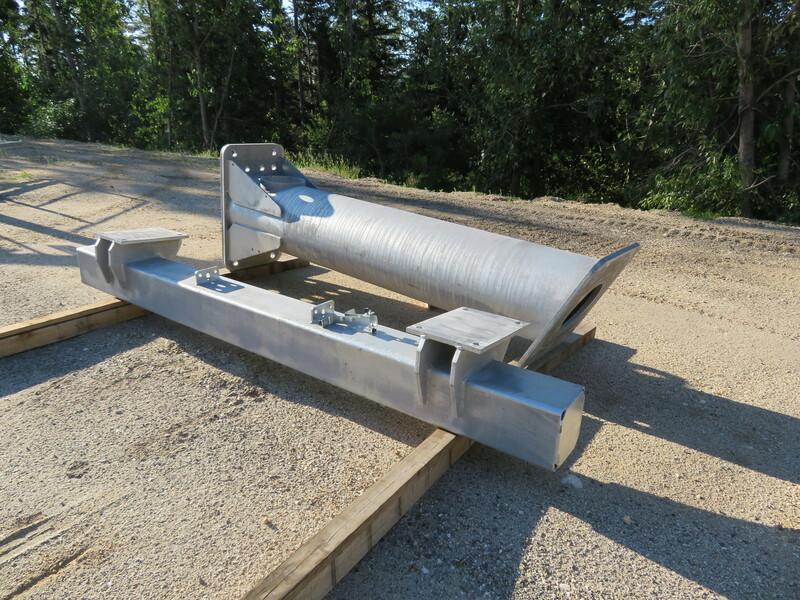 The return terminal is height adjustable for the big snow years. 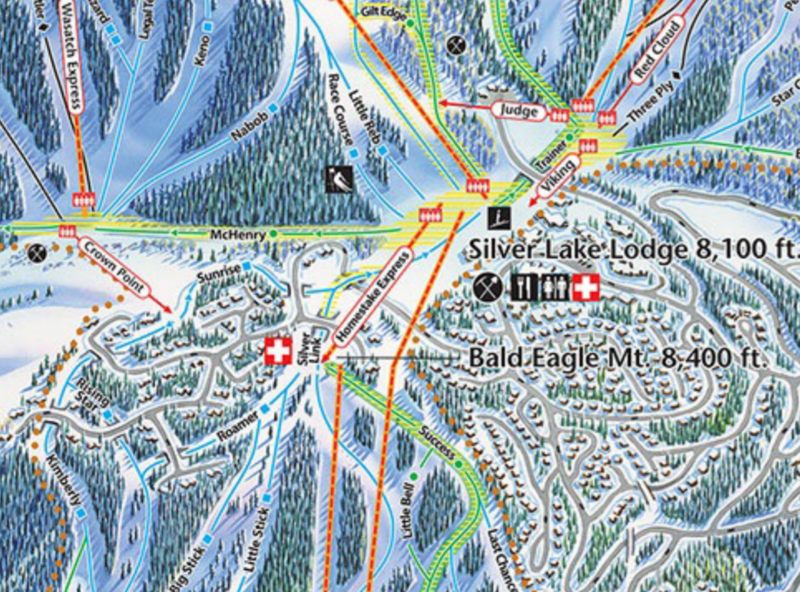 The beloved Snow Ghost double will be retired from Schweitzer Mountain Resort next spring after 47 winter seasons, the mountain confirmed today. 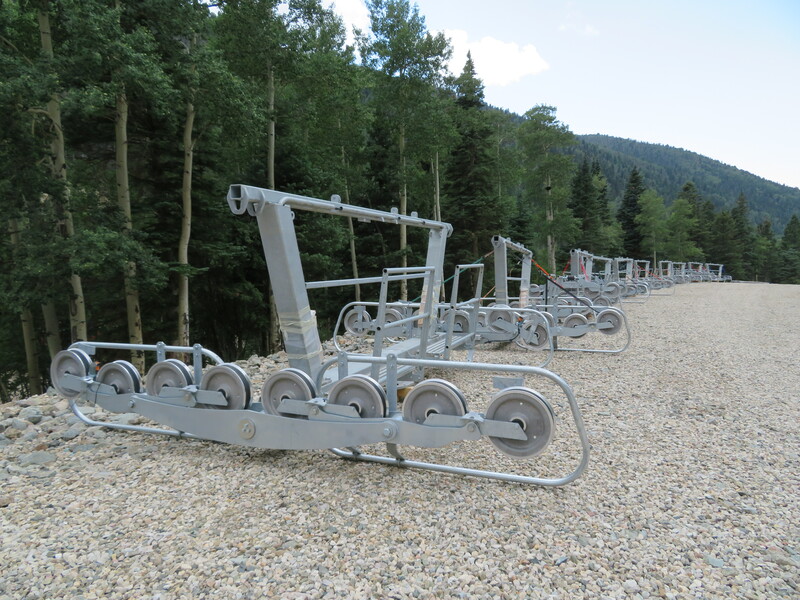 In its place, two new chairlifts will service Outback Bowl in improved alignments. 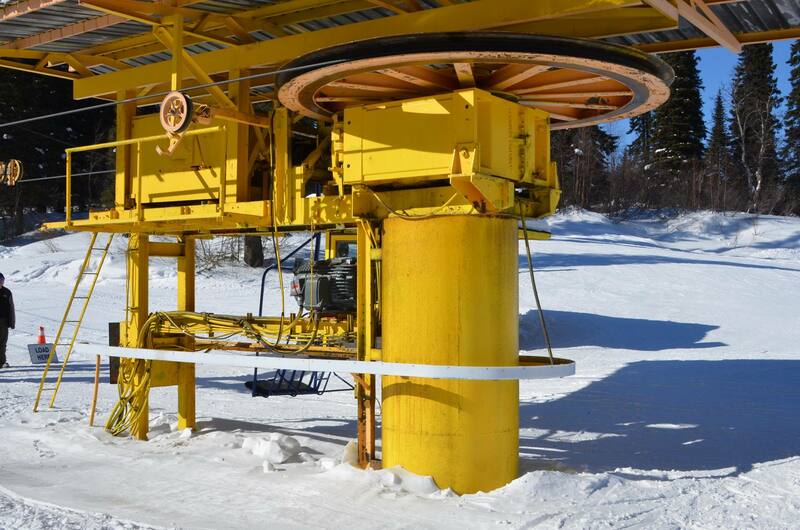 A Leitner-Poma high speed quad will climb through the Kaniksu Woods area with a Skytrac fixed-grip triple servicing the Lakeside Chutes vicinity above. 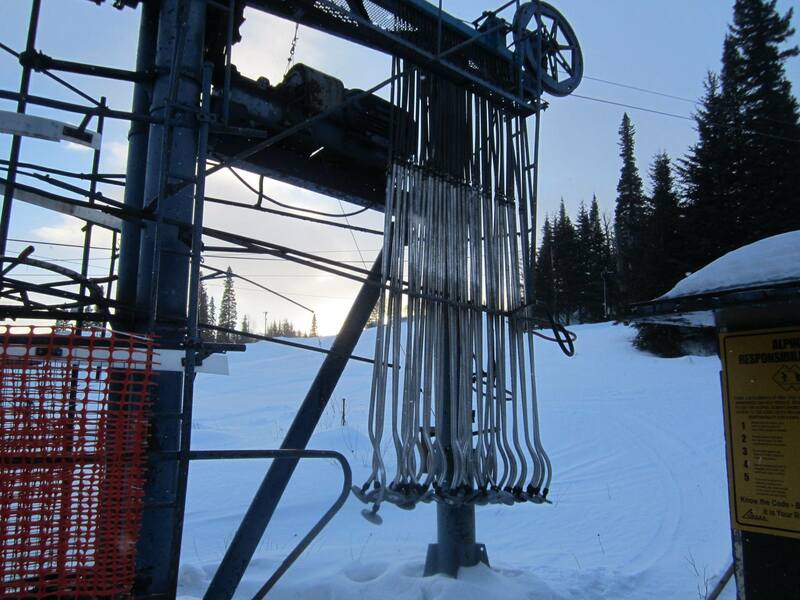 “Overall, we expect the two chair arrangement to complement our existing lift system and provide better access to some of the most popular terrain at Schweitzer,” says Tom Chasse, CEO of the north Idaho mountain. 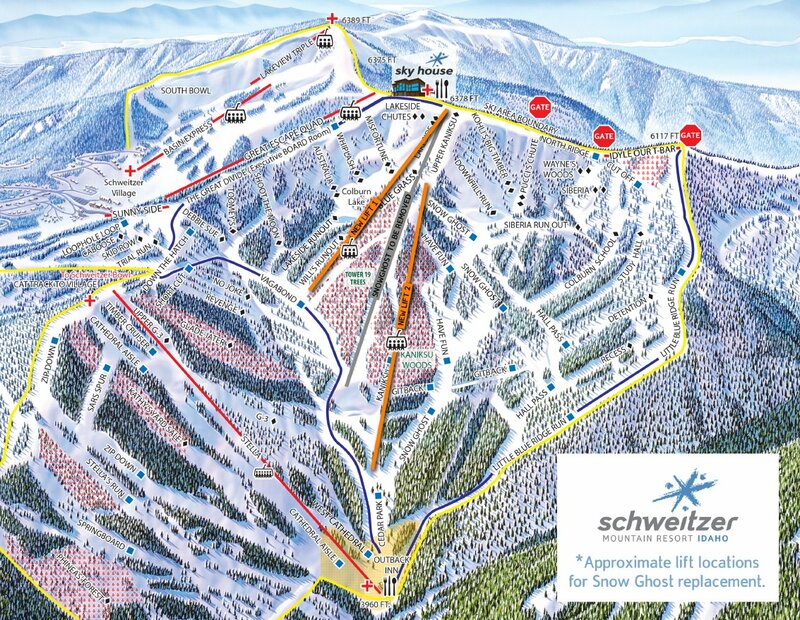 Schweitzer completed a similar project on the front side in 2007, replacing 5,500 foot Chair 1 with the Basin Express and Lakeview lifts. Snow Ghost is a very long Riblet double with more than 30 towers. 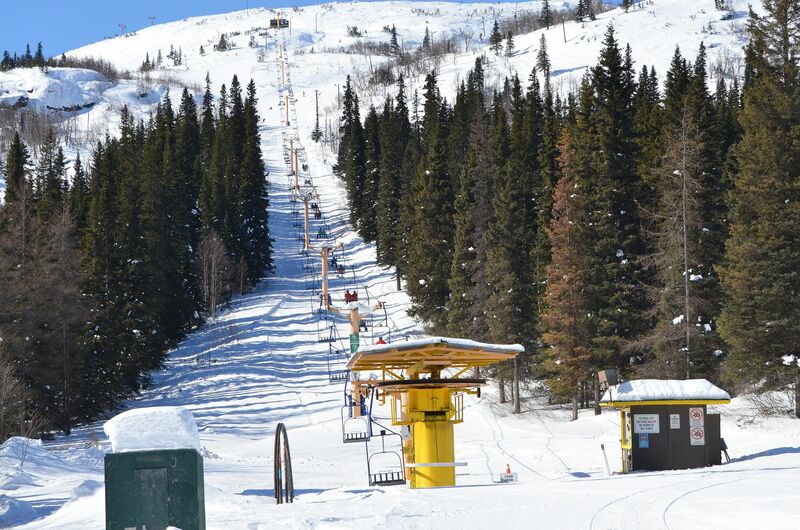 The detachable quad chair will offer a capacity of 2,400 skiers per hour and rise 1,447 feet in just over five minutes. 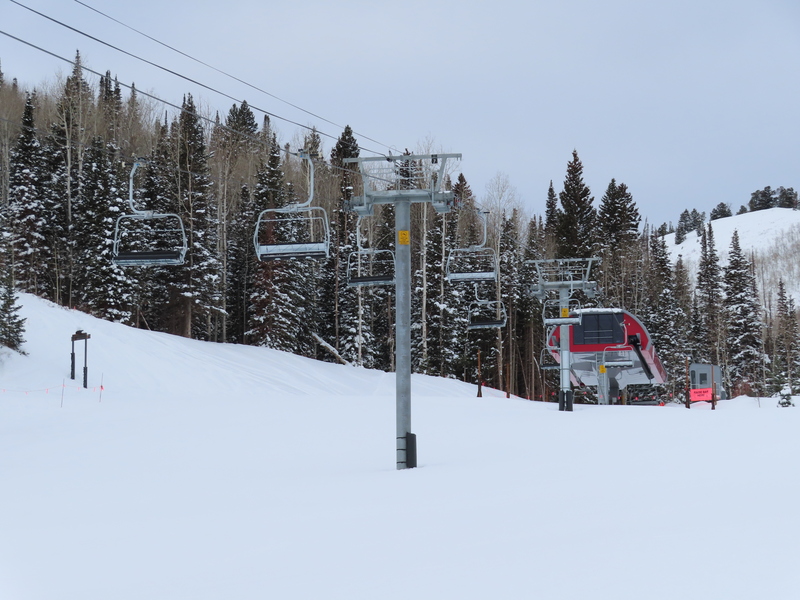 The triple chair capacity will be 1,800 per hour with a vertical of 1,360 feet and an 8 minute ride time. 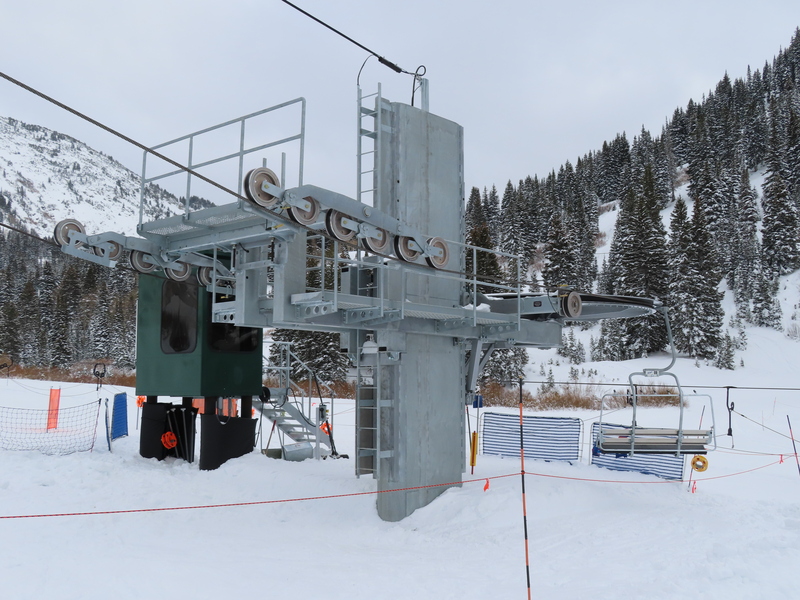 “We’ve seen over the years how a similar two lift system in the South Bowl has been beneficial when we have weather challenges,” said Chasse. 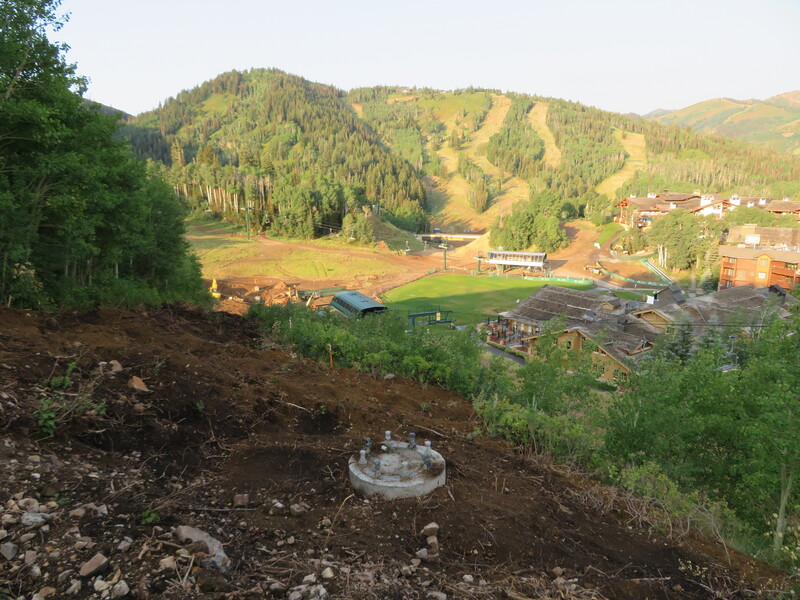 “By having the two lifts serving different aspects of the North Bowl, our hope is to combat similar challenges on the backside of the mountain.” As part of the project, Schweitzer will add gladed terrain and four new runs surrounding the new lifts, which have yet to be named. Mt. 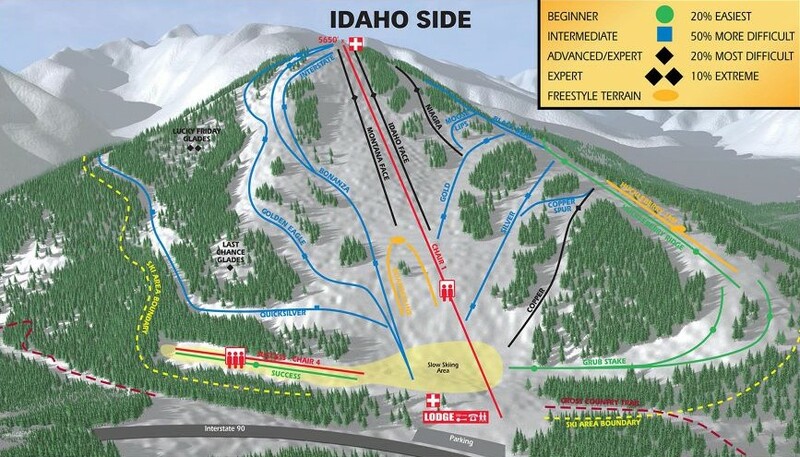 Spokane will debut 279 acres of new terrain and a new lift next winter. 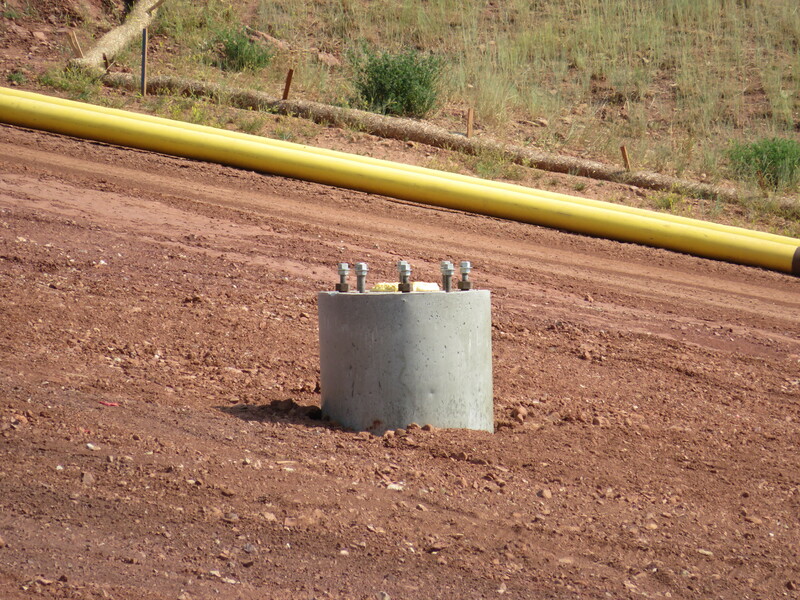 The top bullwheel will spin above this spot in a few short months. 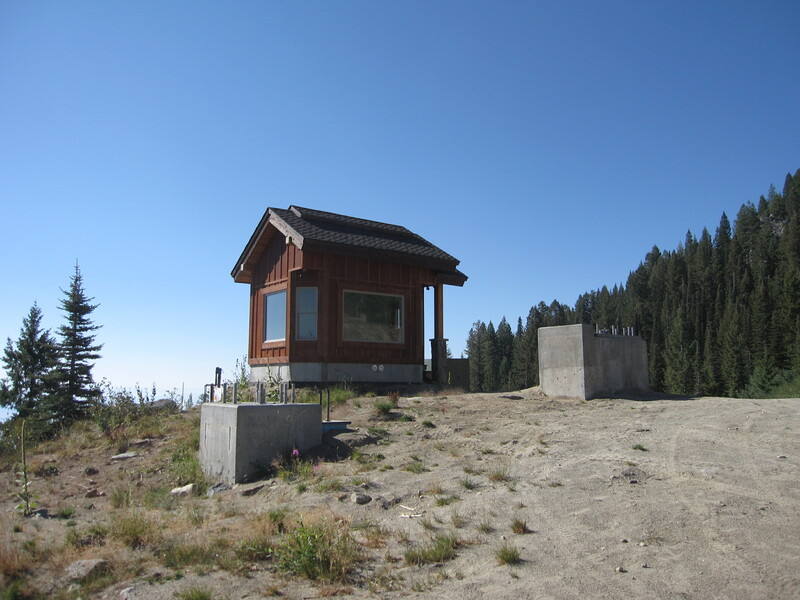 Four American ski resorts will launch major terrain expansions next winter and I got to check out one of them this weekend in Washington State. New west facing trails at Mt. 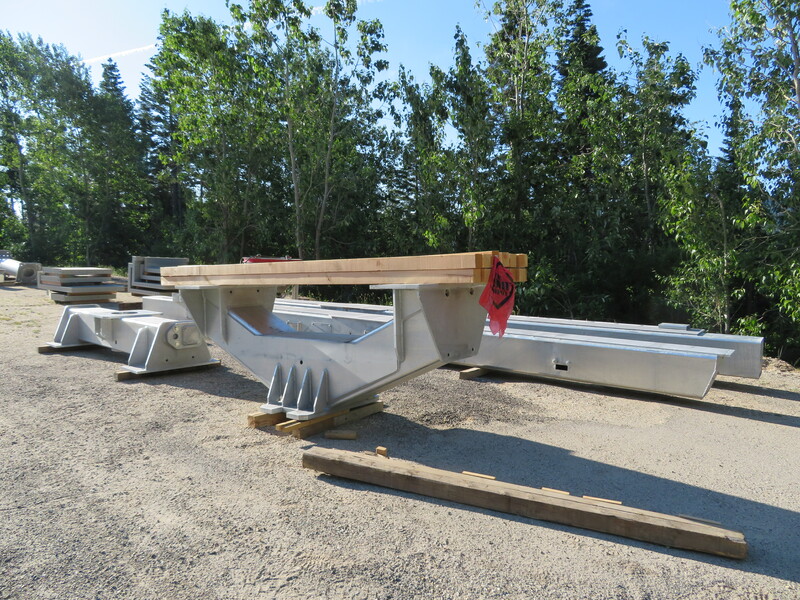 Spokane Ski & Snowboard Park will be serviced by a new Skytrac triple chair topping out at 5,850′. 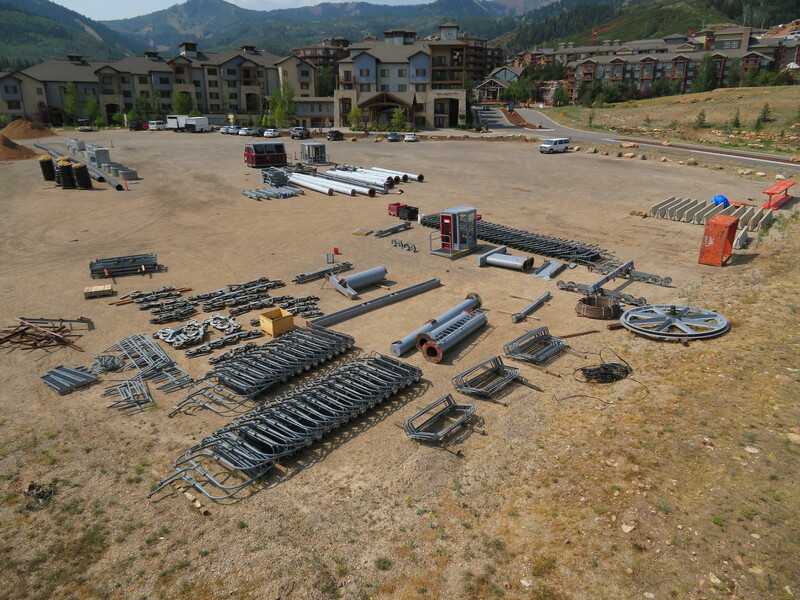 The nonprofit that runs the resort initially planned to use Bridger Bowl’s retired Alpine lift but wisely axed that plan last winter and solicited bids for a brand new machine. 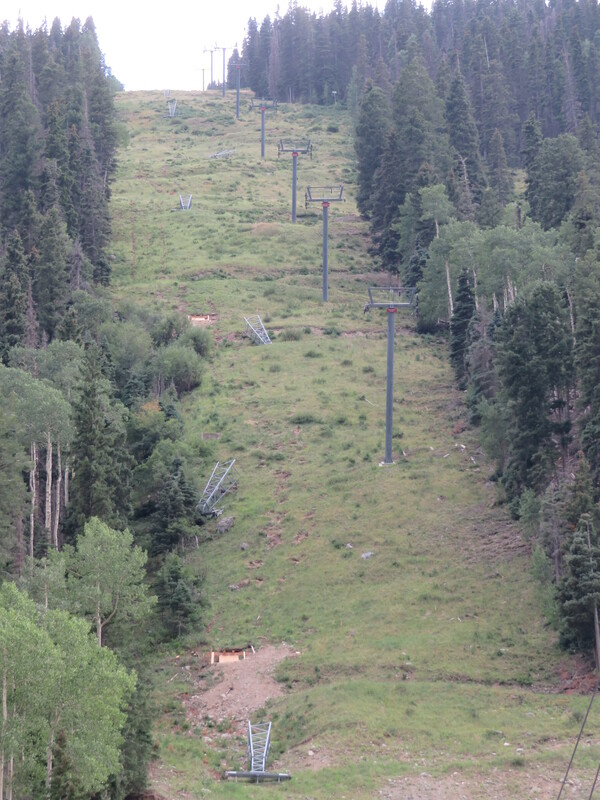 At this area once owned by Riblet Tramway Company itself, the last new lift was a double chair that opened back in 1977. Mt. 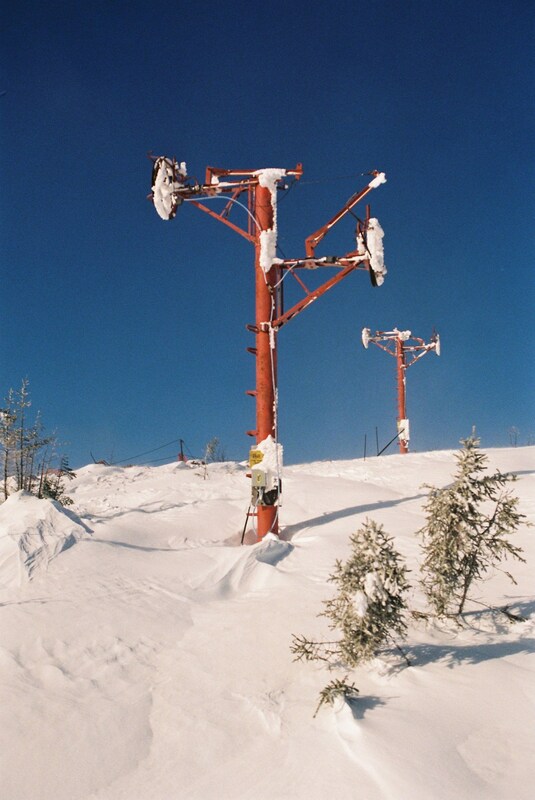 Spokane’s Chair 1 dates even further to 1956, making it the oldest operating chairlift in the country. 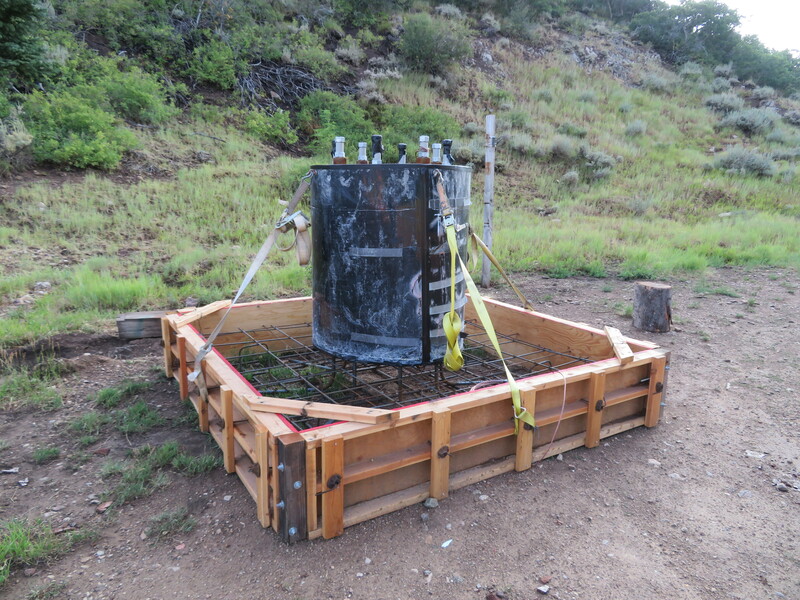 With five Riblet doubles still spinning, a modern galvanized triple is sure to stand out along with the new runs. 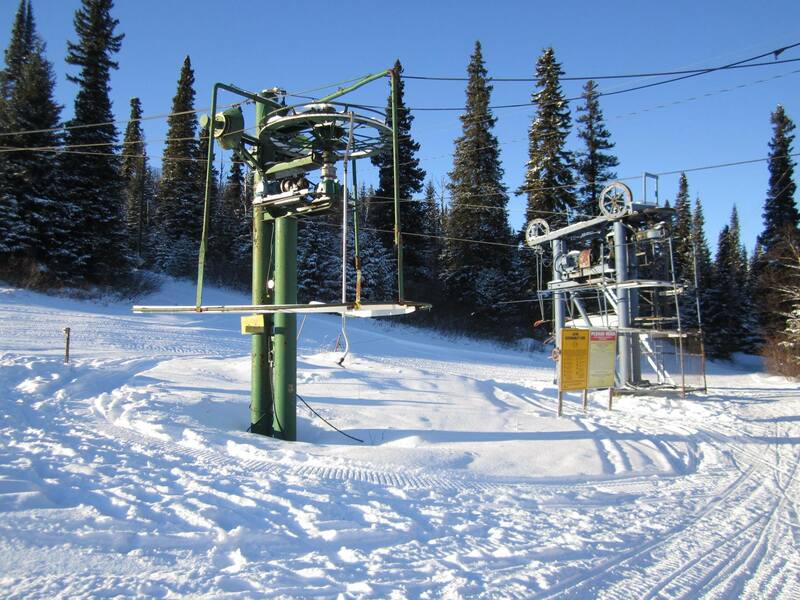 A growing demand for skiing has led to many new lifts at competing resorts in the Selkirk Mountains during the 14 years it took for Mt. Spokane’s expansion to be approved. 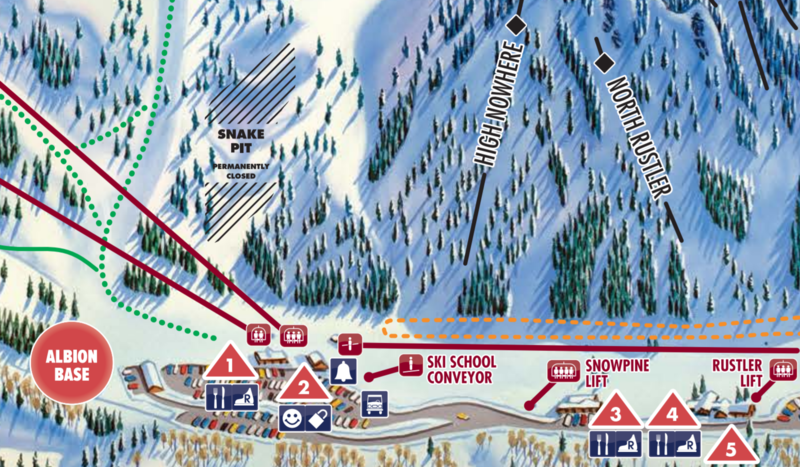 In the nearby Idaho panhandle, Schweitzer Mountain Resort plans to build two new lifts on its backside next summer, Lookout Pass is eyeing another two and so is 49 Degrees North in northeast Washington. 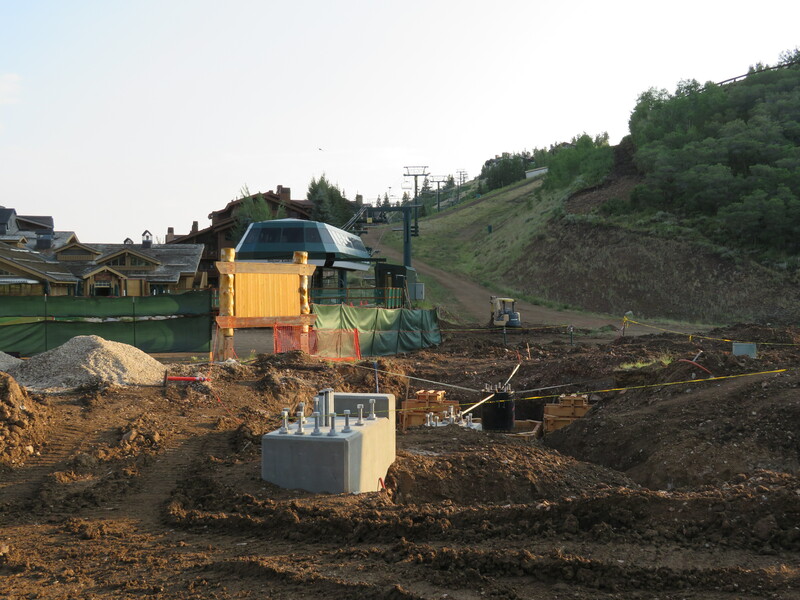 Just across the Canadian border, Spokane favorite Red Mountain hopes to complete the Topping Creek T-Bar this fall. 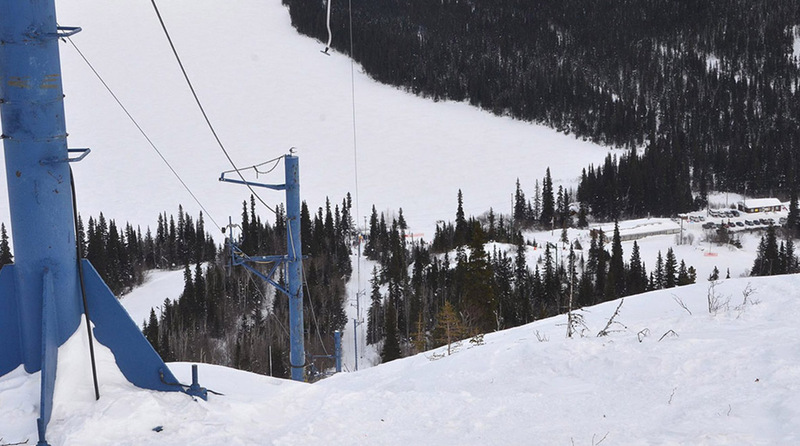 One of Atlantic Canada’s best kept secrets is Smokey Mountain, which will soon sport three new lifts. 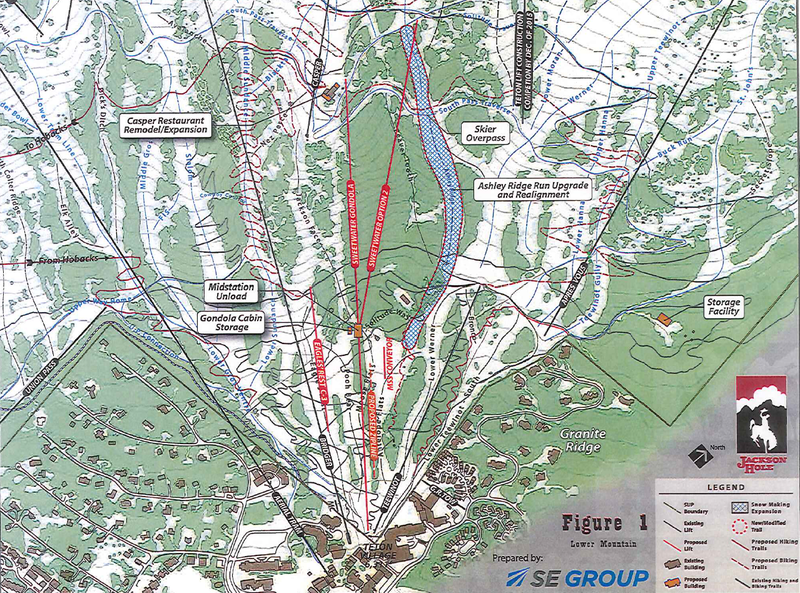 A community ski area surrounded by iron ore mines near the Quebec-Labrador border will build as many new lifts as Whistler Blackcomb this summer, though they will be of quite a different variety. 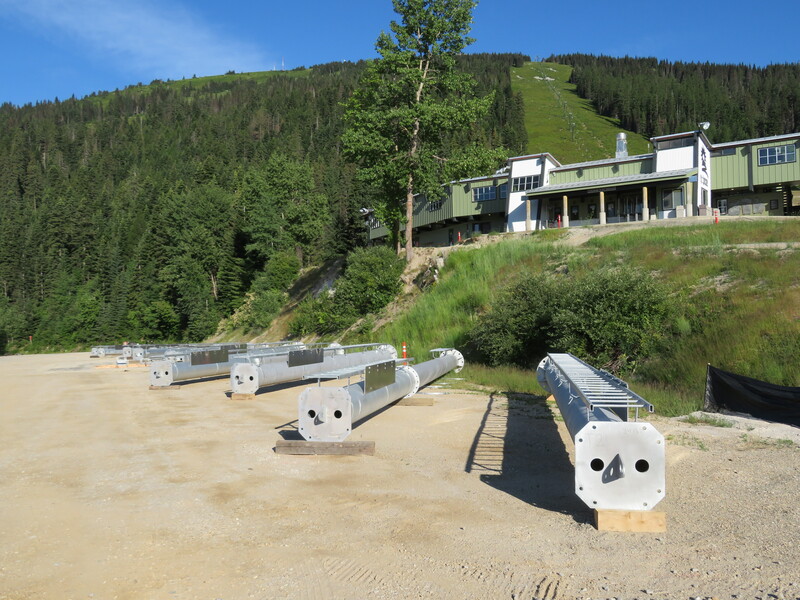 Smokey Mountain Ski Club is set to debut Canada’s first Skytrac, a quad chair where a 1972 Poma double with a floating bullwheel stands today. 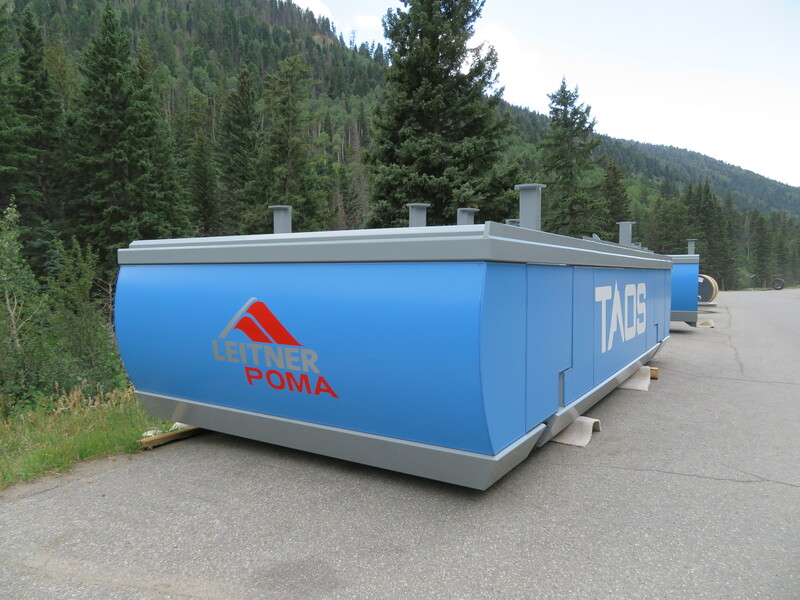 The mountain’s Blue lift, a detachable Poma in operation since the 1960s, will be swapped for a brand new Leitner-Poma version. 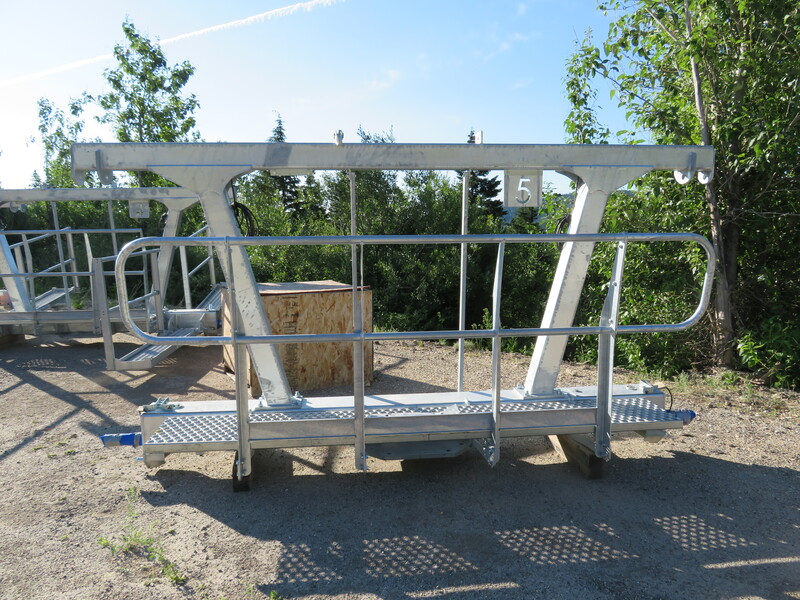 Another new LPOA platter lift will serve an area known as coaches’ corner and supplement a carpet lift built last year. 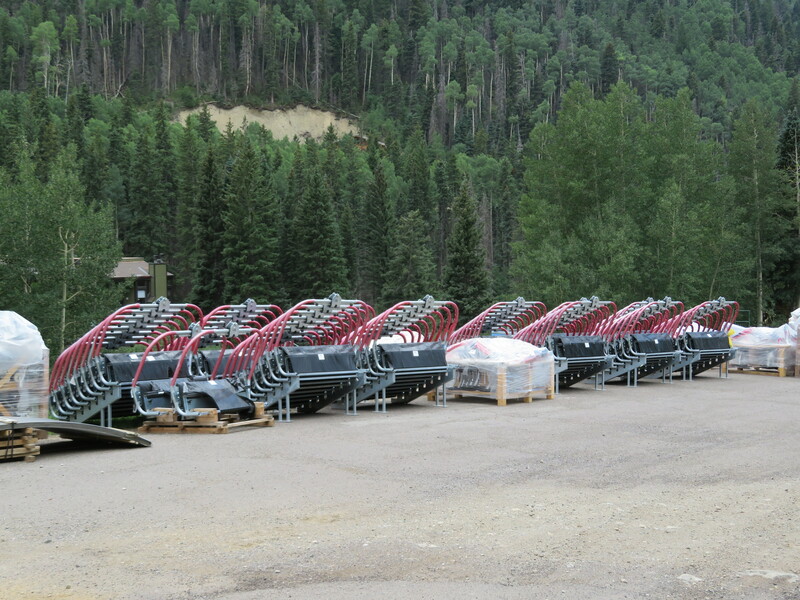 Smokey has also retired its Red and Green Poma lifts meaning the entire lift fleet will be renewed by next winter. This revitalization has been in the works since at least 2016 but was put on hold due to a downturn in the iron ore market. 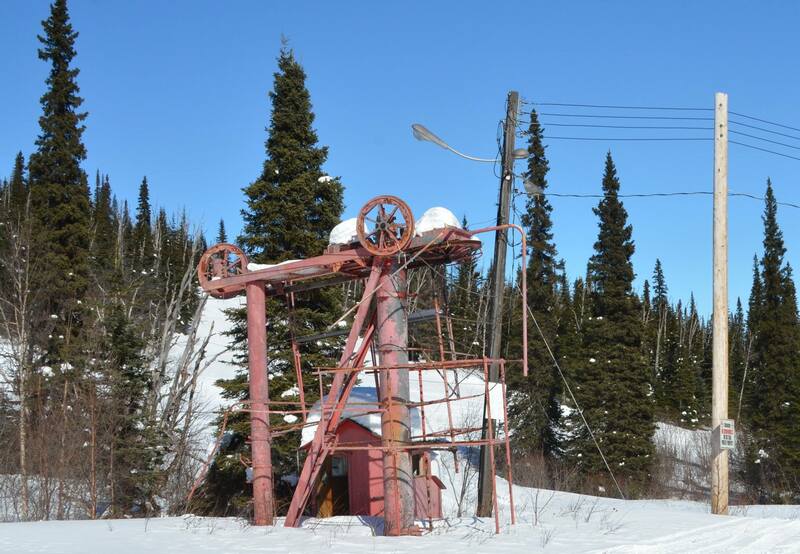 The Iron Ore Company of Canada will fund the not-for-profit ski club’s modern and more reliable lift system as part of mitigation for a new site nearby. 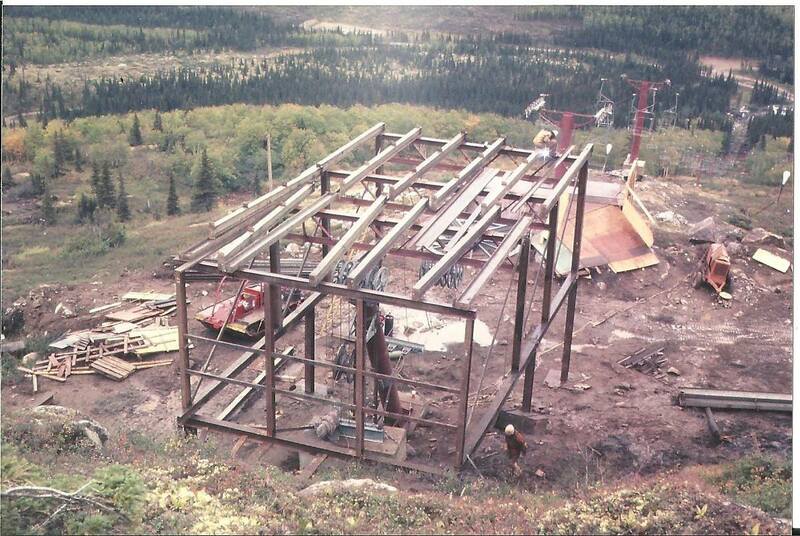 Below are some photos from Smokey’s website to memorialize the truly classic Poma lifts which will be missed. 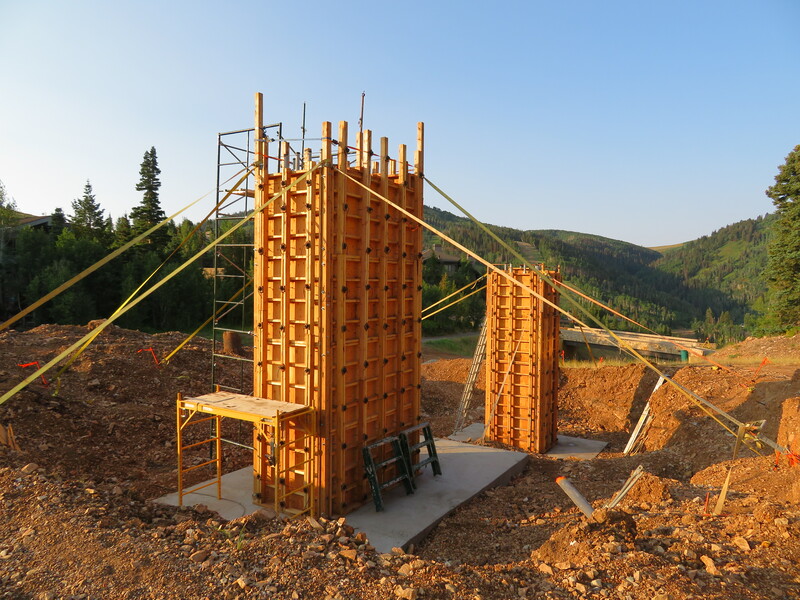 This ambitious project brings the North America new lift count to a potential 48 for 2018. 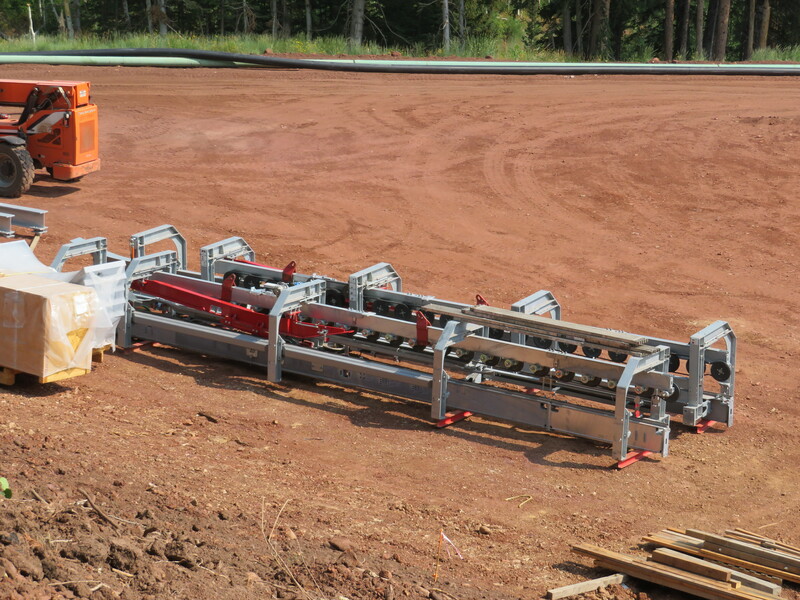 That number includes at least five Skytrac Monarchs, a dozen Leitner-Poma installations and 21 Doppelmayr machines. 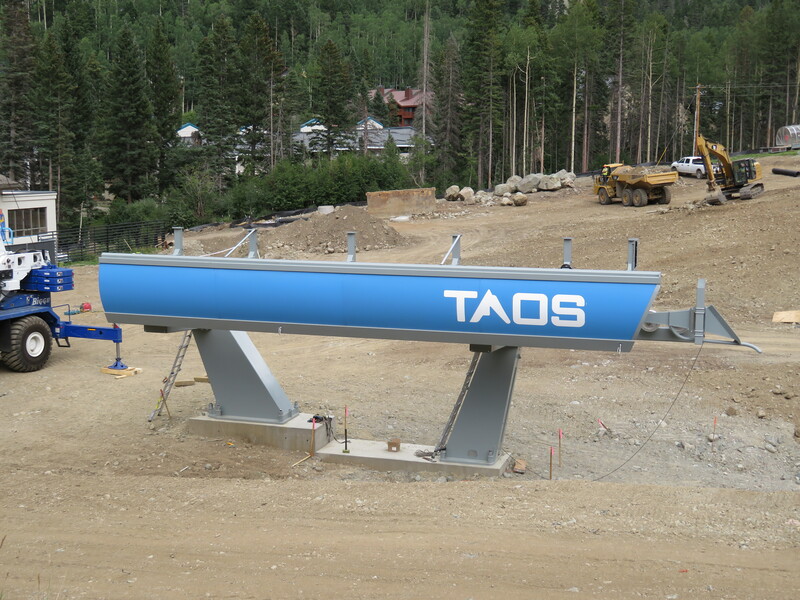 Tahoe Donner’s 1971 SLI will go by the wayside this summer and be swapped for a new Skytrac triple chair. 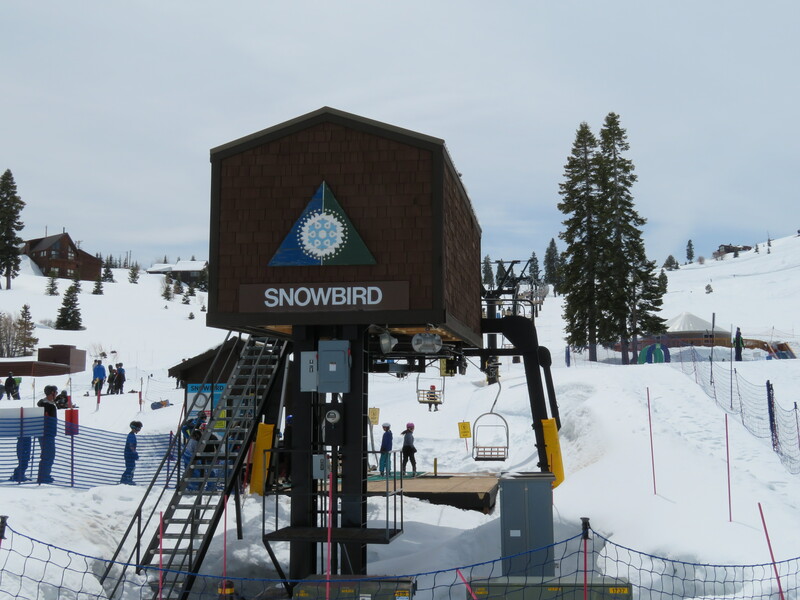 It may not be the biggest lift project I write about this week but Tahoe Donner near Truckee, California has signed a contract to replace its Snowbird SLI double this summer. 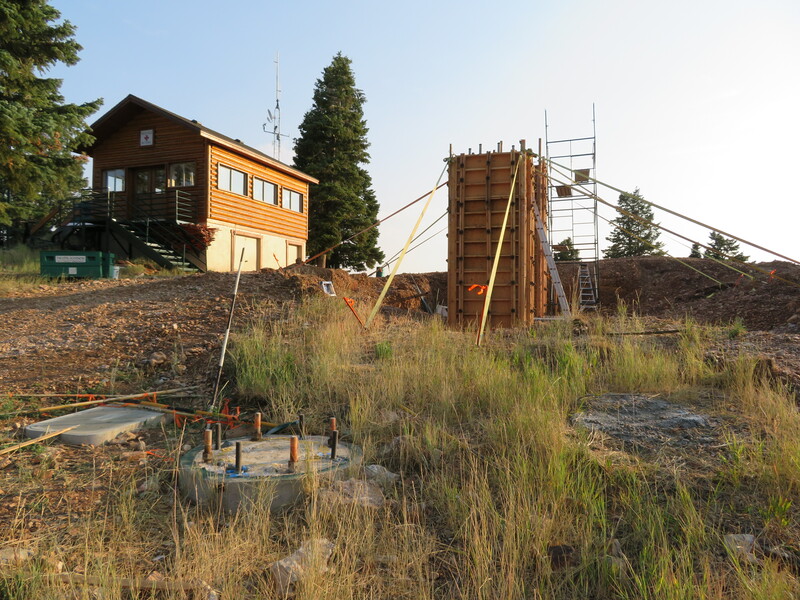 The Tahoe Donner Association is one of the country’s largest homeowner associations and therefore the process of assessing the old lift, designing a new one and funding it is all detailed on the neighborhood’s website. 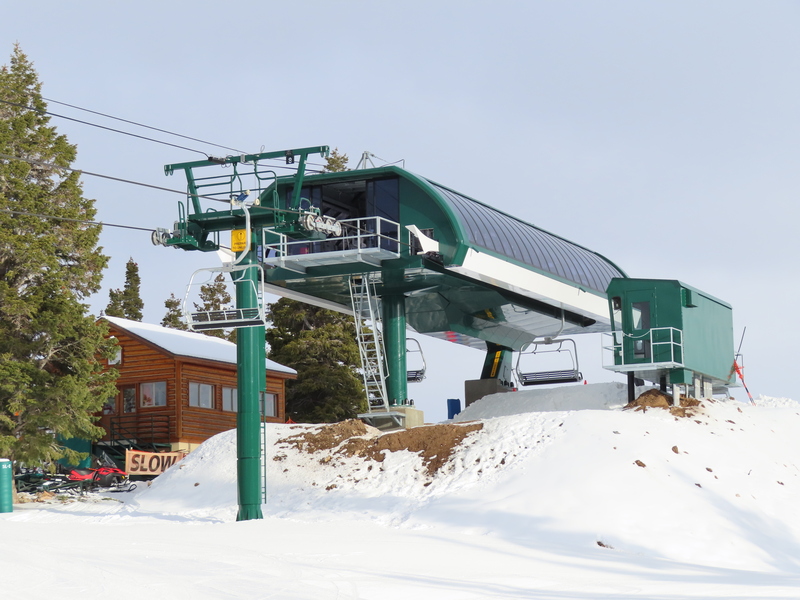 Tahoe Donner staff solicited quotes from multiple manufacturers and looked at the used marketplace but ultimately settled on a brand new Skytrac Monarch fixed-grip triple chair to improve safety and reliability. 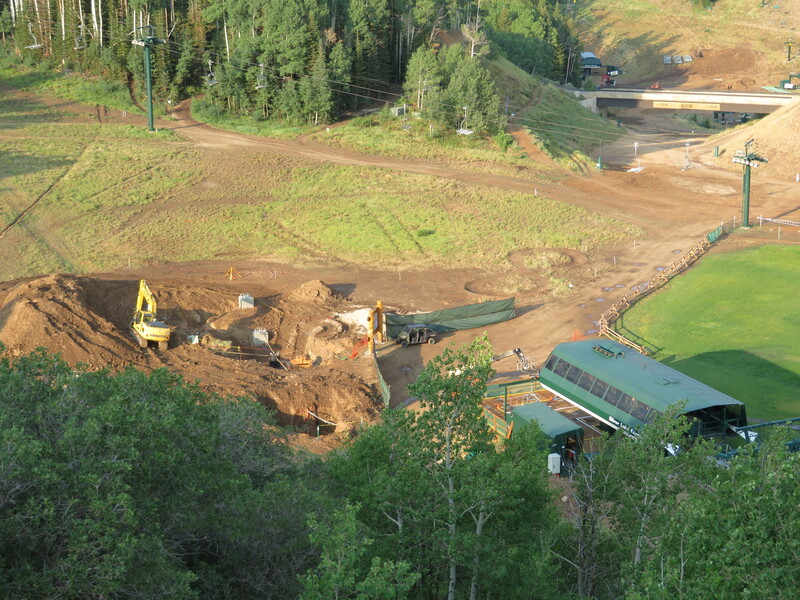 The new $1.5 million lift will be bottom drive and bottom tension with an increased line speed of 400 feet per minute. Capacity will jump from 900 pph to 1500 with a comfortable 7.2 second chair interval. 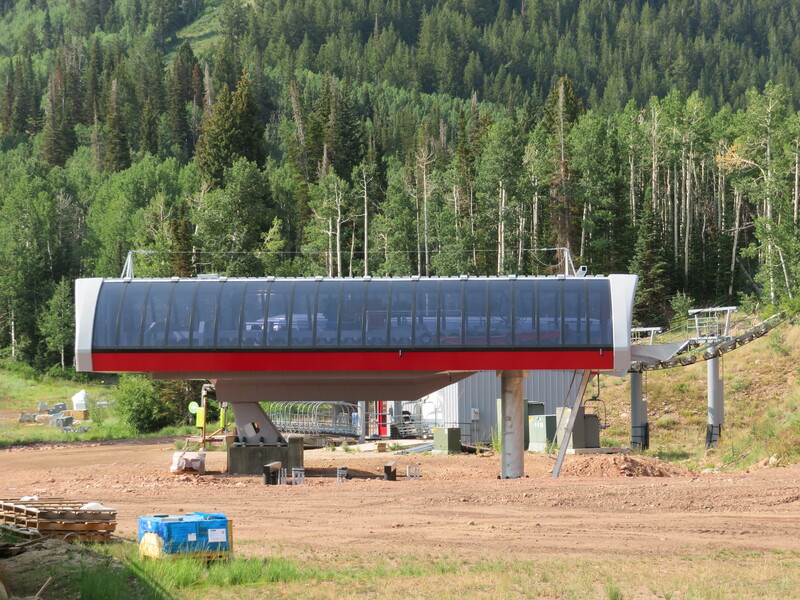 New terminals will be smaller than the old ones and located off to the side of the Snowbird ski run for better circulation. 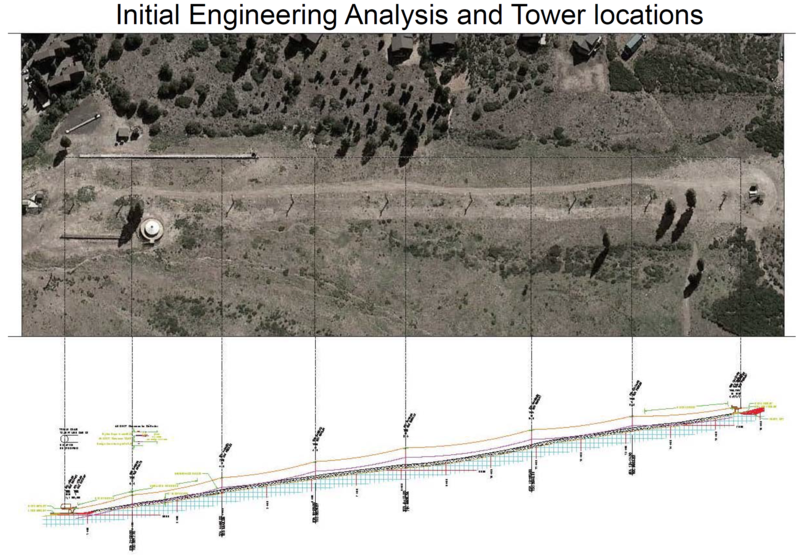 The lift will go from nine towers to six with a slope length of 1,600 feet. 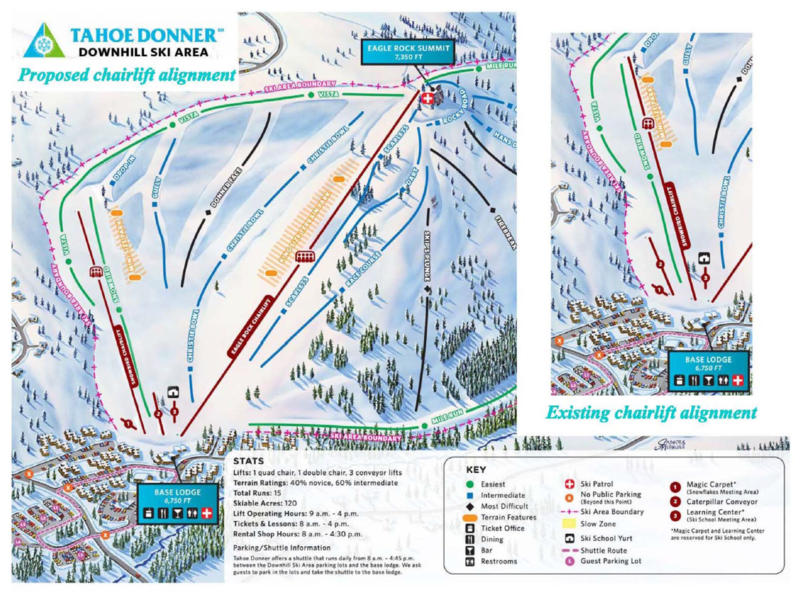 Tahoe Donner is open to the public and popular with California families as an affordable option near Lake Tahoe. 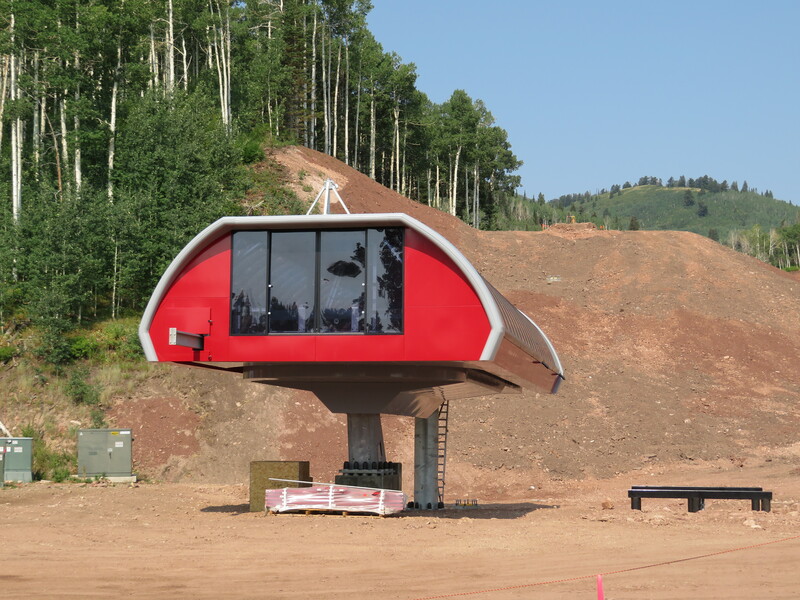 It’s great to see homeowners committing to the future of the mountain with this new lift. Thanks to Kirk and Max for letting me know about the project.